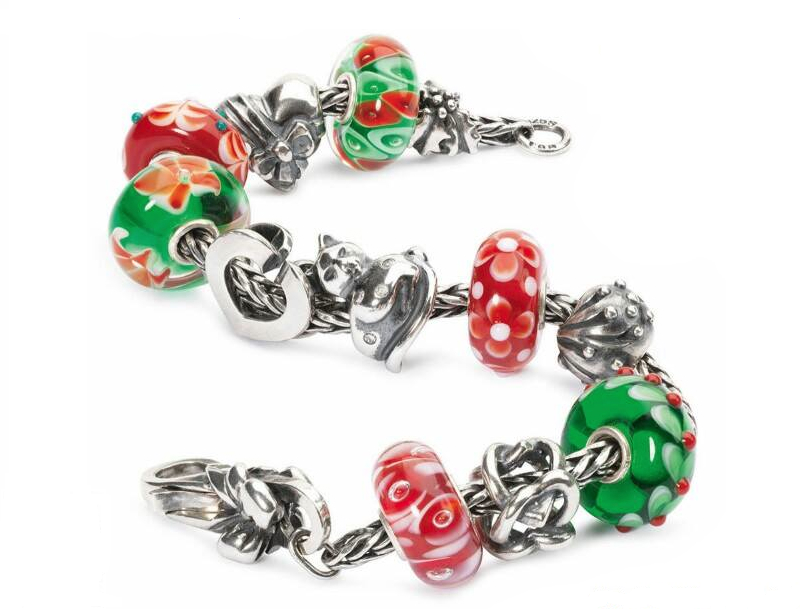 Back in May 2014, the US market saw the release of three ‘launch event beads’ to coincide with the launch of the Summer 2014 Bohemian Collection. 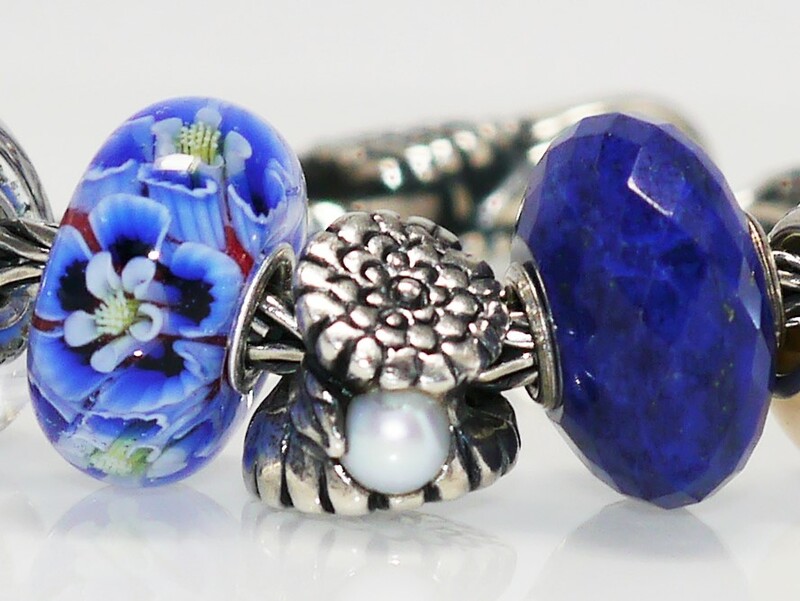 The beads are Tranquil Fantasy, Red Coral Sponge and Royal Blue Sodalite. 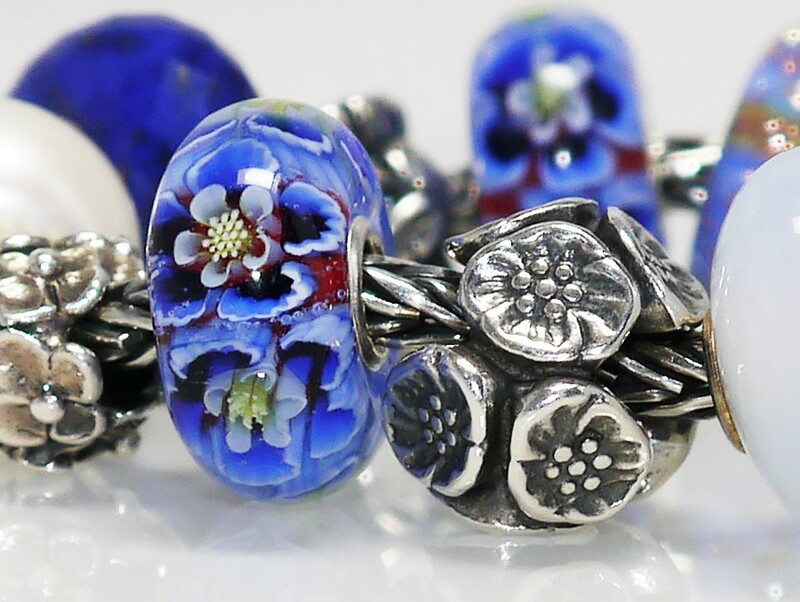 These beads were all limited editions and made available in small numbers to retailers who spent over a certain amount on the new collection. 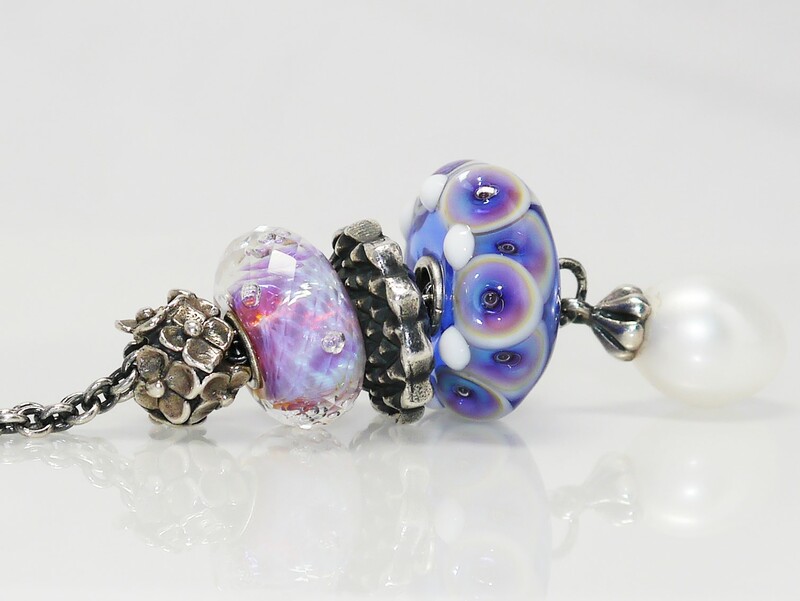 In June, the European market received stock of the Tranquil Fantasy bead, in seemingly larger quantities than the US. 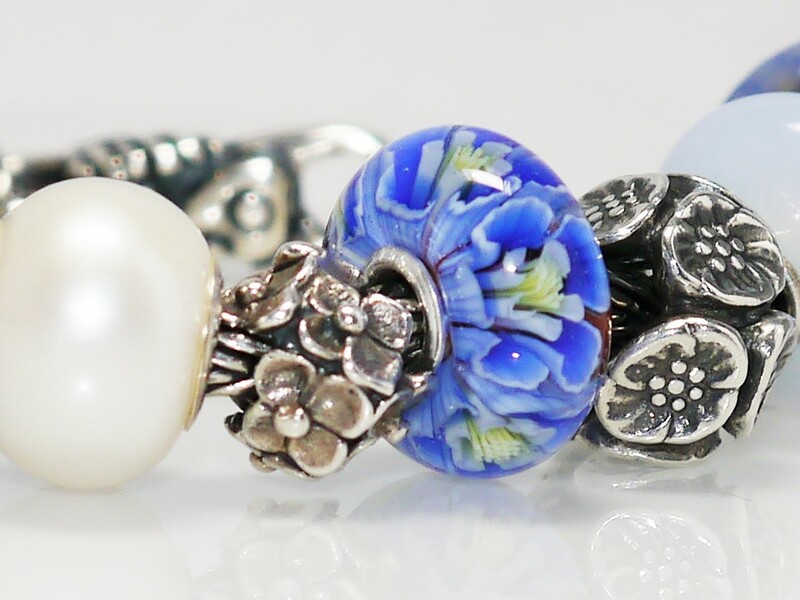 For one reason or another, I have only just got around to adding the Tranquil Fantasy bead to my collection, so what follows is a review with live photos. 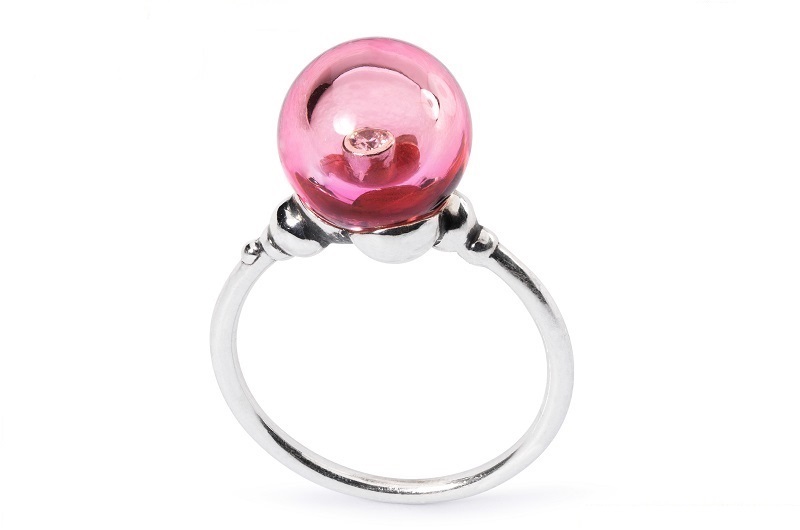 The Tranquil Fantasy Lavender bead is larger than most of the standard glass beads (measures approximately 18mm by 8mms) and is intended to be worn as a focal point on Trollbeads Fantasy Necklaces. 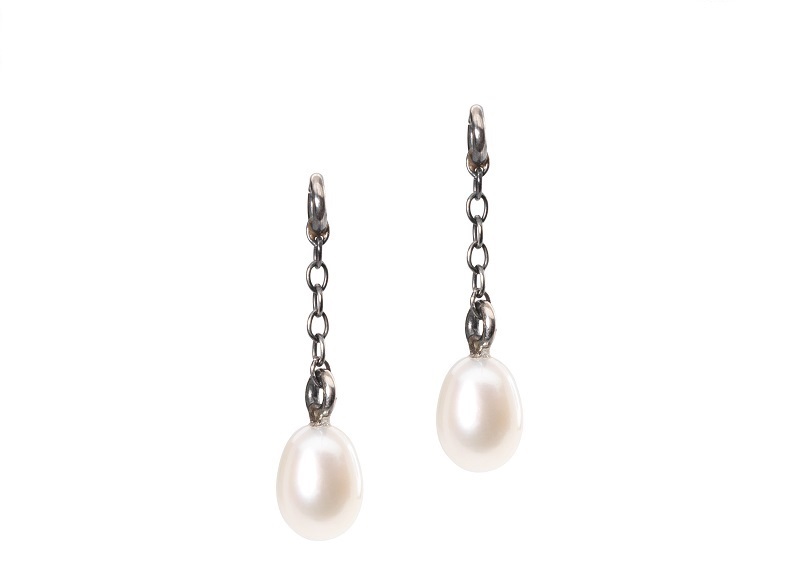 As you can see from the photo above, this bead looks absolutely stunning on the Fantasy Necklace with Pearl. 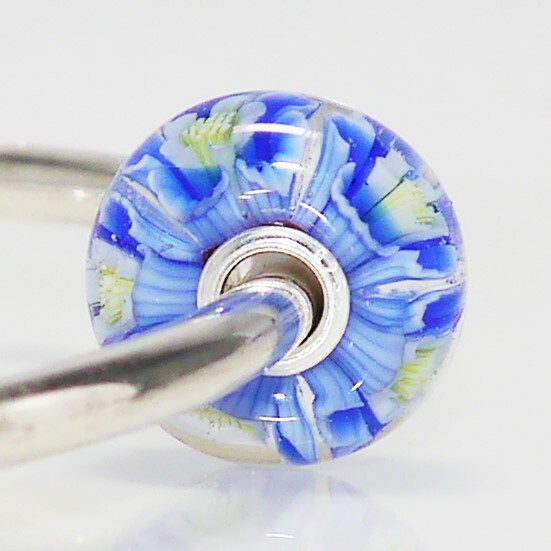 The bead itself is a rich but soft blue transparent glass, with raised pearlescent ‘petals’ which are decorated with raised white dots at the crown of the bead. The ‘petals’ vary in terms of depth of colour between beads, but I had a preference for petals that showed a pink-purple hue, and I could not be happier with the bead I have. The photos below show the bead from different views. 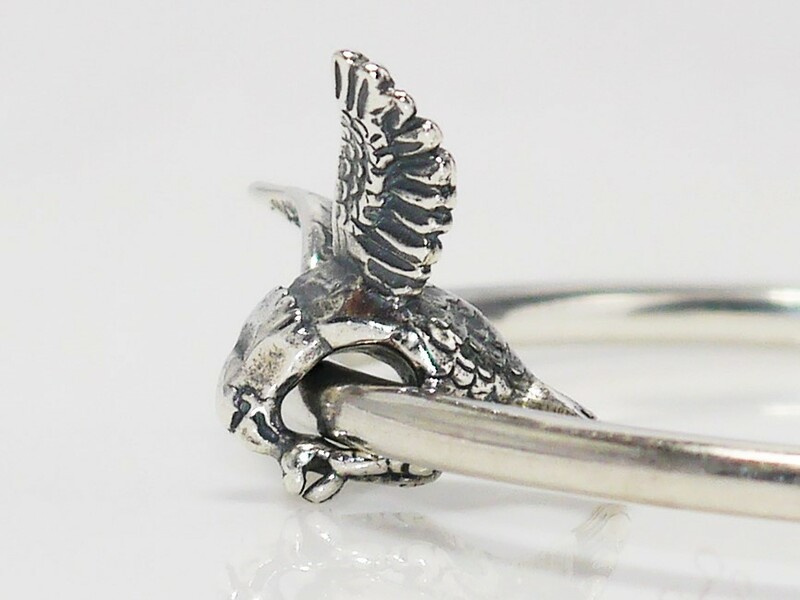 I have taken the photos with the bead on the Trollbeads silver bangle, and whilst the bead is intended for Fantasy Necklaces, it actually works well on its own on the bangle. 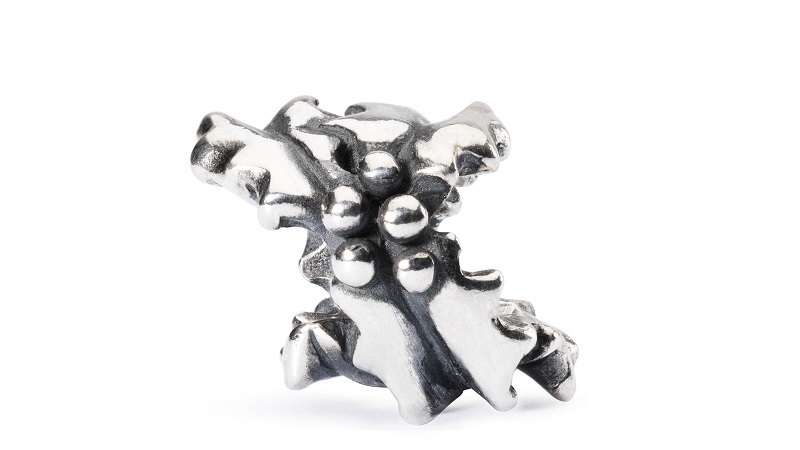 This bead is beautiful for the summer, particularly on a Fantasy Necklace with a long summery dress, however I feel it also offers potential within an icy wintry ensemble. 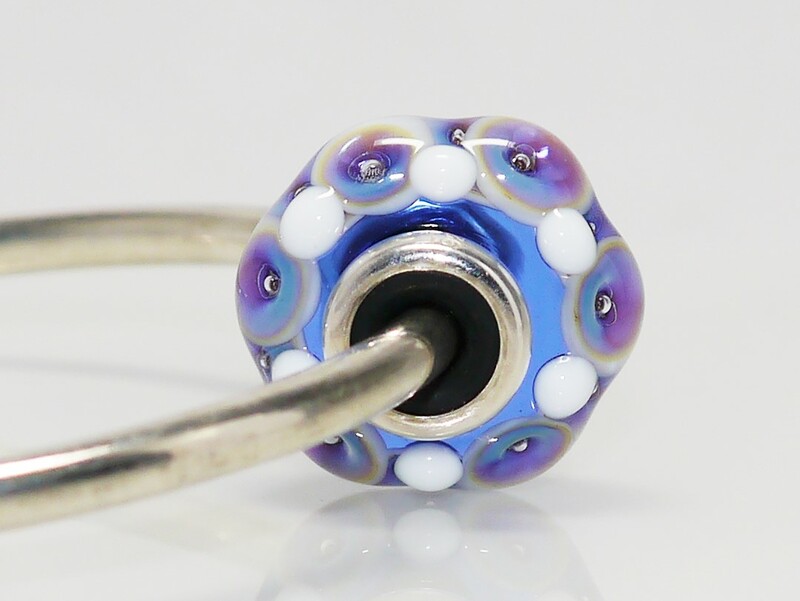 To sum up this bead, I would have to say it is simply stunning, even more so in reality than the stock photos. 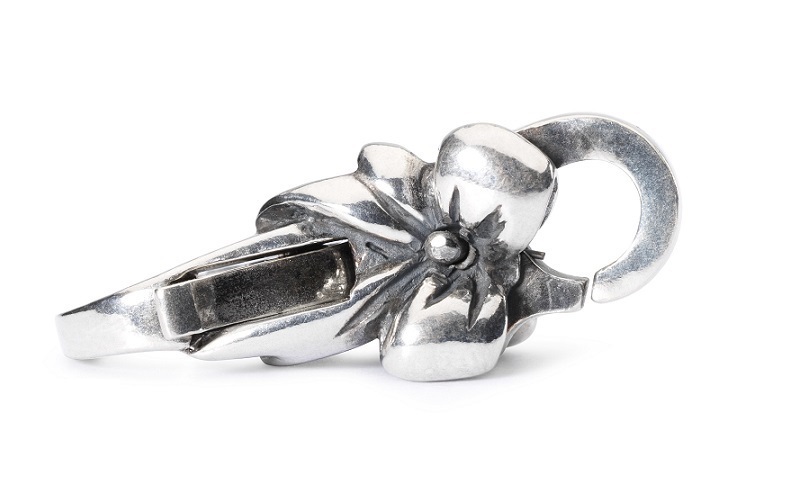 Limited stocks are still available at some retailers in the UK, so if you are wanting this bead in your collection, I would advise getting it sooner rather than later, particularly as the bead itself is Limited Edition. 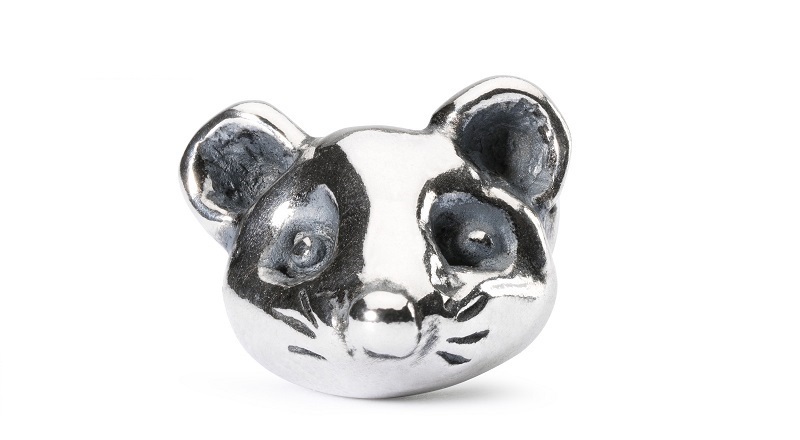 This blog post brings news of a Trollbeads exclusive!! 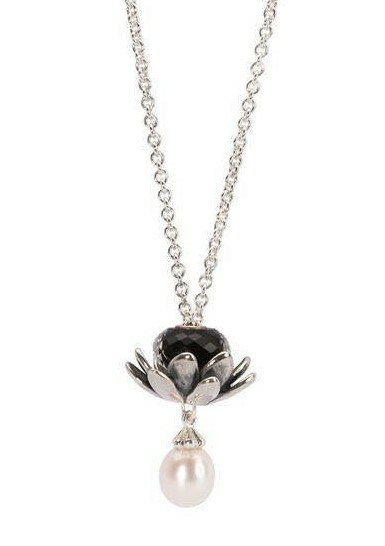 For the first time ever the Fantasy pearl necklace has been made in polished silver! 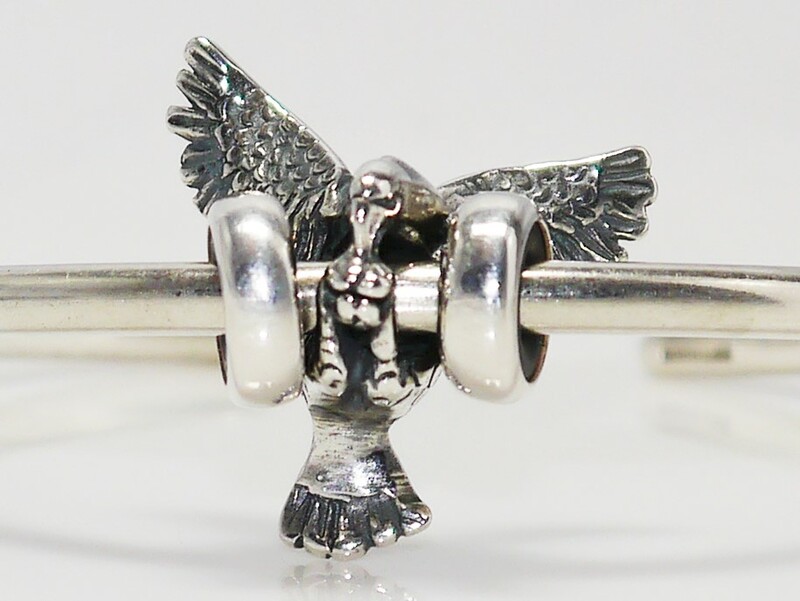 Apparently it is only available in a very limited number of top Trollbeads stockists. 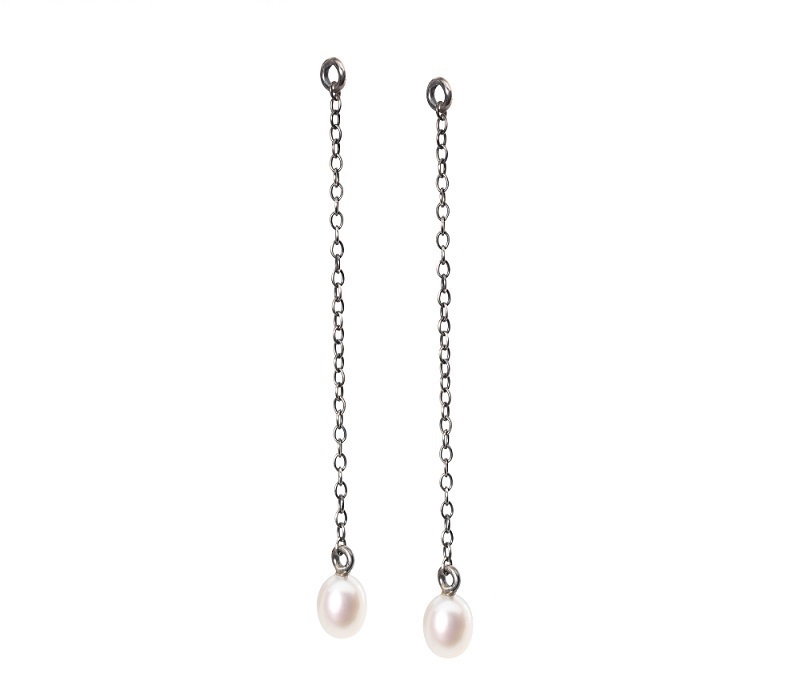 The Polished Fantasy Necklace with Pearl (featuring a high shine rather than oxidised finish, in a 90cm length) is available individually for £125 or as part of the Sahara Polished Fantasy Gift Set for £165. 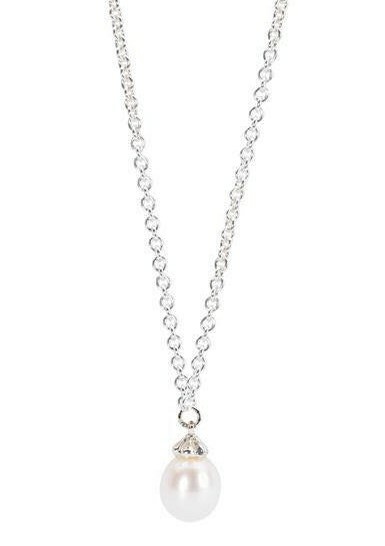 (the gift set also includes the Giant Lotus Pendant and the Sahara Night Facet glass bead). 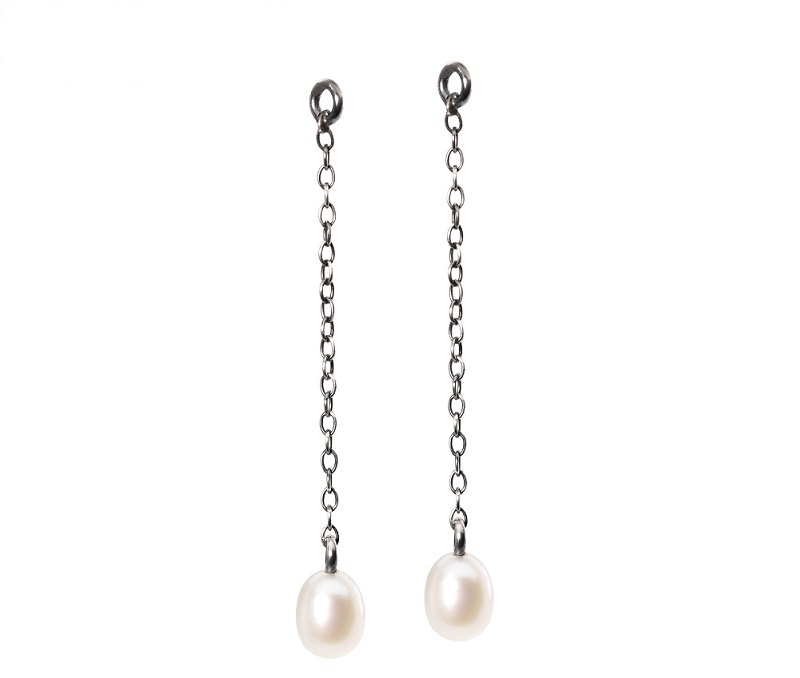 Will you be seeking out one of these necklaces or do you prefer the original oxidised version? 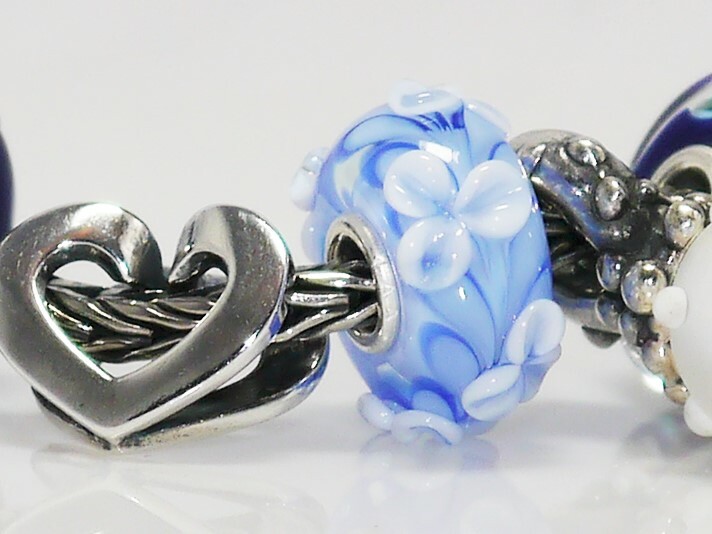 Personally, I prefer the oxidised version, as it maintains the Trollbeads style; the polished version is venturing too near the style of Pandora and I am not overly keen on their highly polished charms as they look too sterile and machine made for my taste. No one can deny it is beautiful however and I am sure it will be sought after, particularly if it is only available in limited numbers. 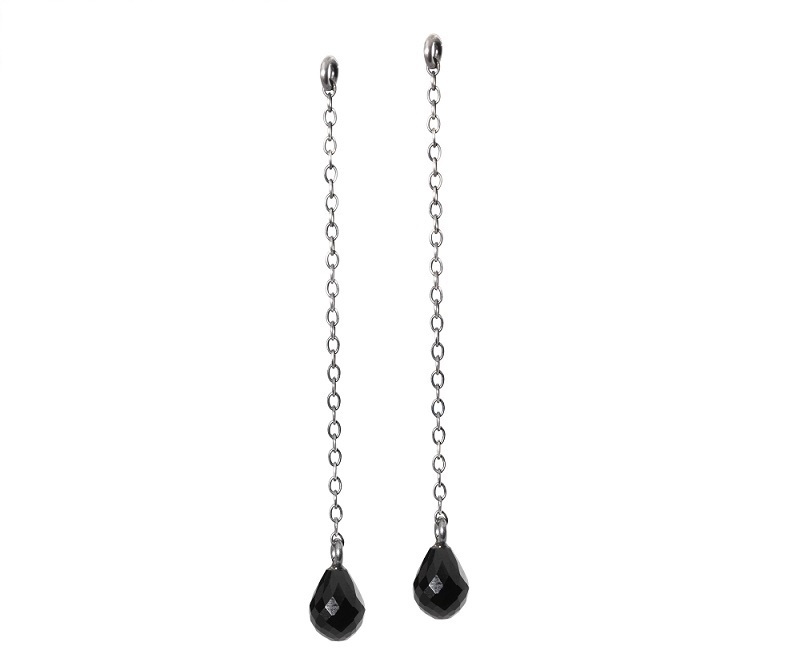 I still keep meaning to get a Fantasy Necklace with Black Onyx (I have never got round to getting one for some reason), and that would take priority for me. 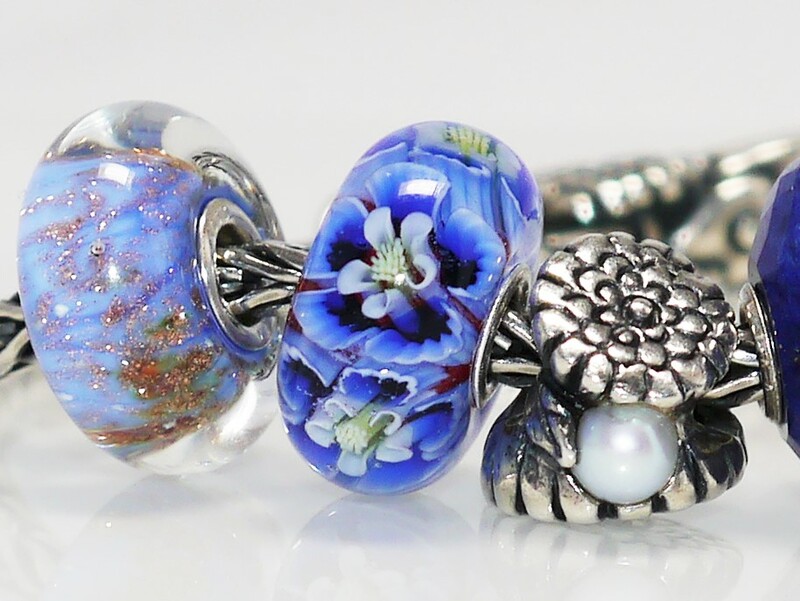 Following the release of Trollbeads stunning ‘Ageless Beauty’ bead, and my initial review, this post brings some more photos of this beautiful bead being incorporated into a bracelet design. 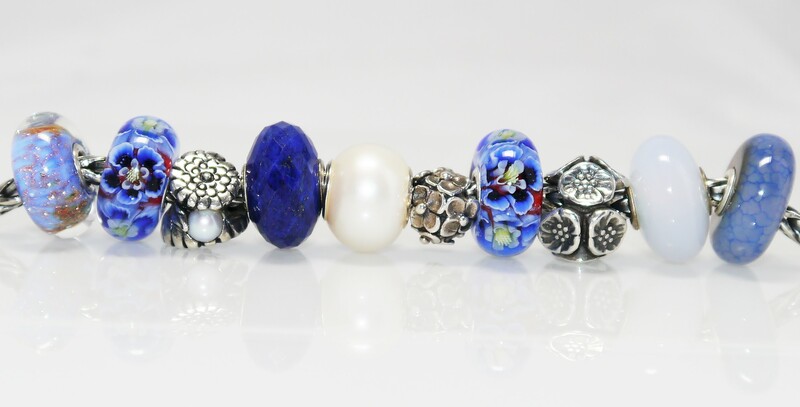 Beads used (from left to right): ‘Fountain of Life‘, ‘Ageless Beauty‘, ‘Calendula of October‘, ‘Lapis Lazuli‘, ‘White Pearl‘, ‘Hydrangea‘, ‘Ageless Beauty‘, ‘Cherry Blossom‘, ‘Chalcedony‘, ‘Pastel Agate‘. 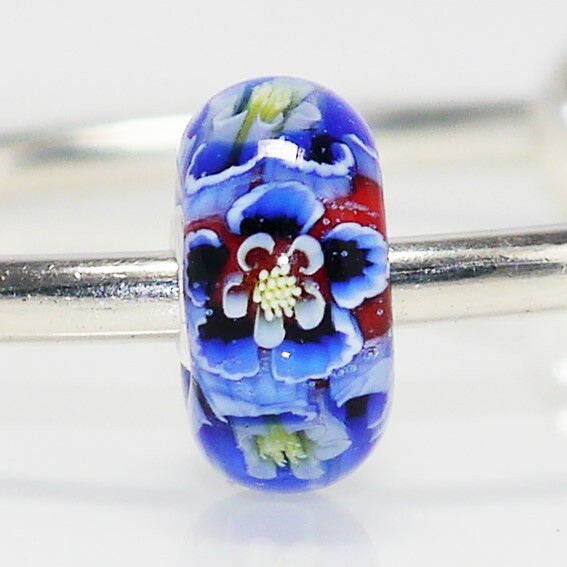 The most special post today brings live photos of the much awaited Trollbeads ‘Ageless Beauty’ bead, representing Japan. 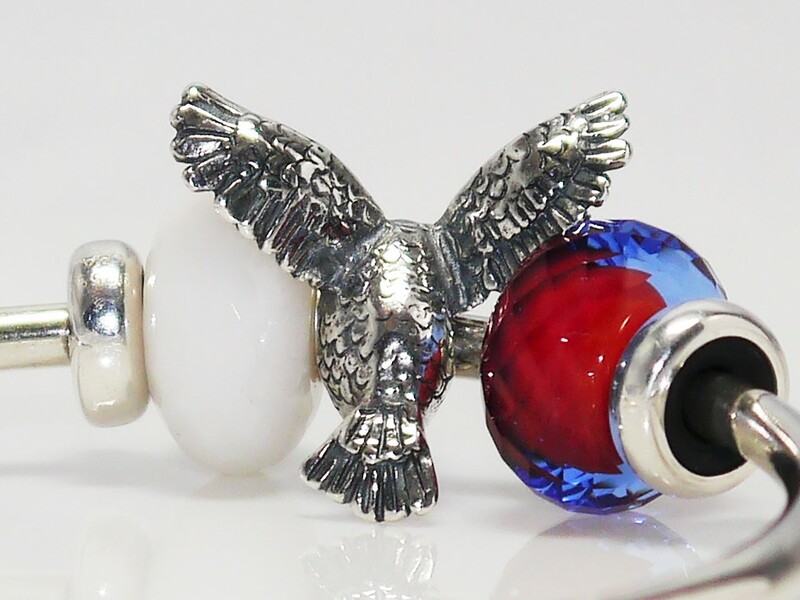 This bead is the second ‘country specific’ bead to be release this year, following ‘Wings of Freedom’ representing the US. 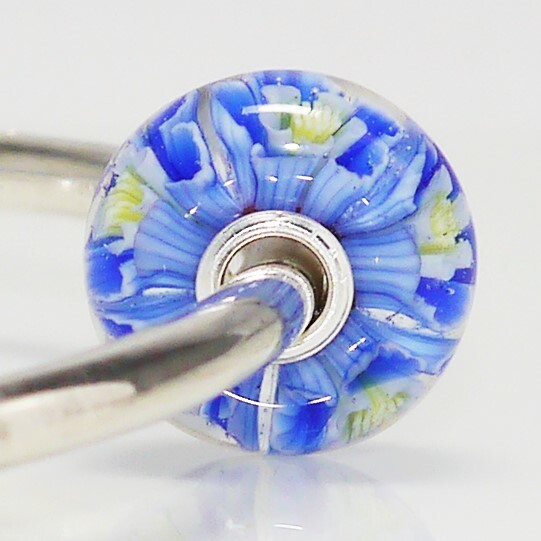 A few days ago, Trollbeads Japan released this lovely image on their Facebook page, confirming to everyone just how beautiful this bead really is. 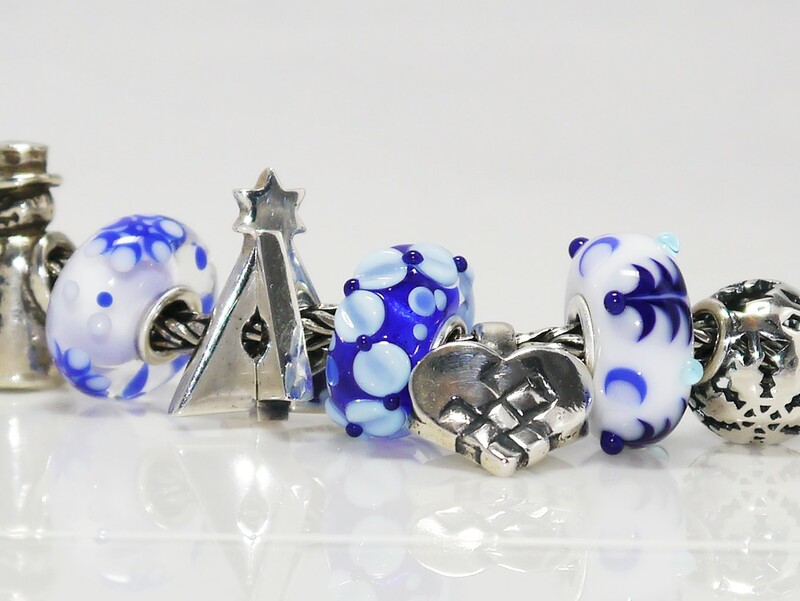 Image from Trollbeads Japan – Please do not reproduce without crediting. 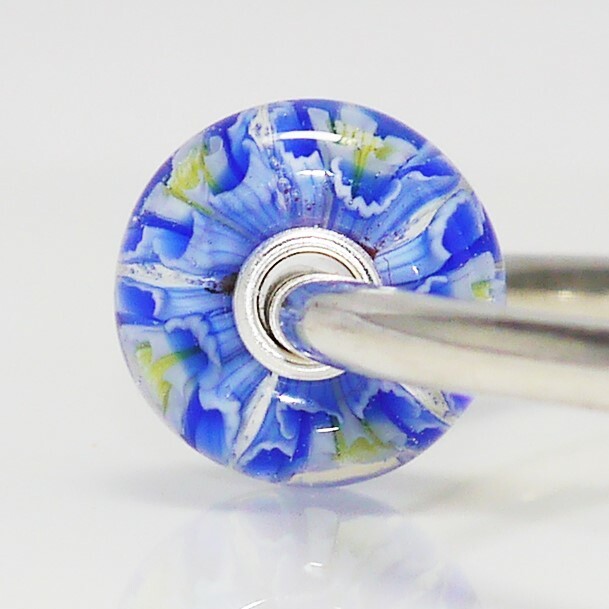 When you look deep into the bead, it looks like millefiori cane work, but how this is incorporated into a glass bead amazes me. 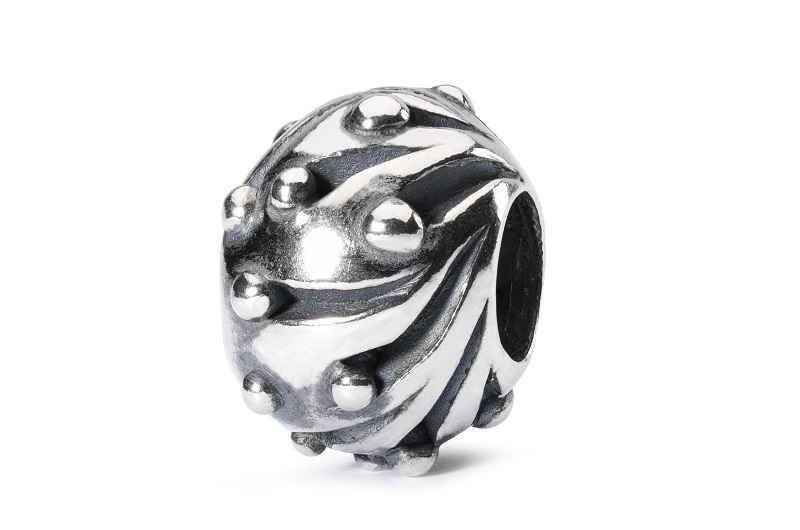 The level of intricacy within this bead is outstanding. 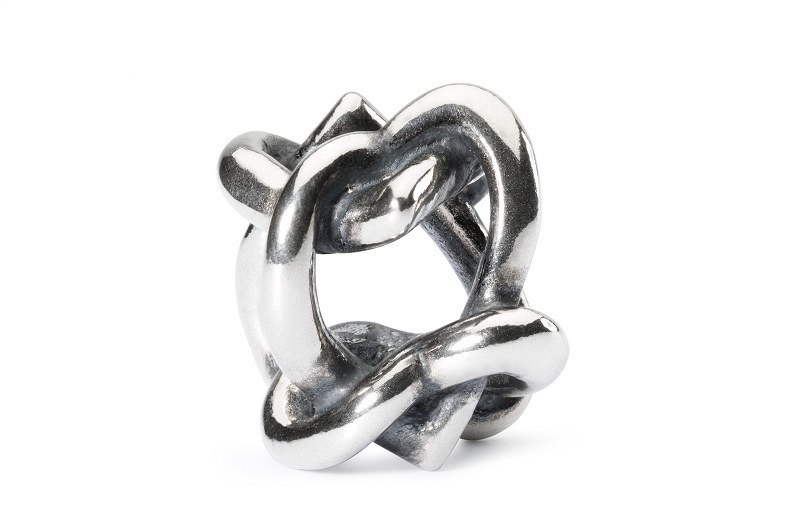 Great credit must be given to Nozomi Kaji who designed this beautiful bead, and also to those who actually made it. 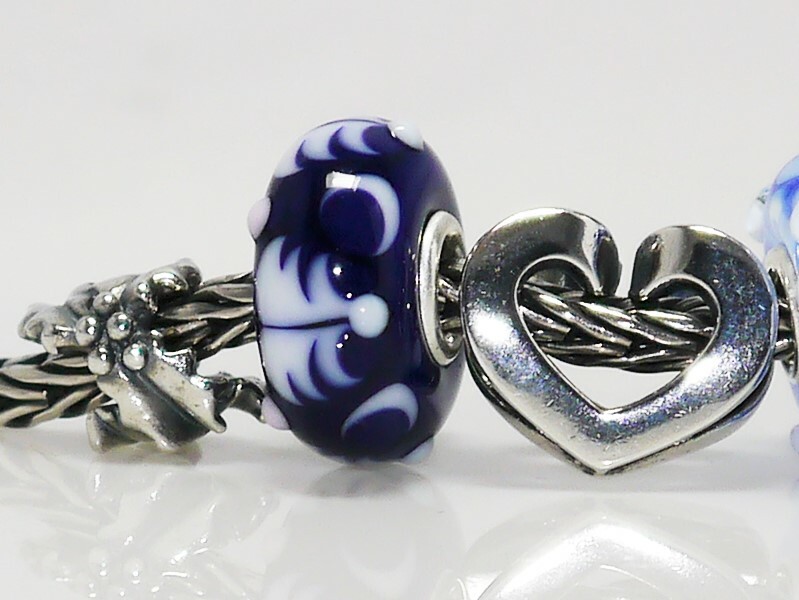 I am so in love with this bead, I am hoping to get another. 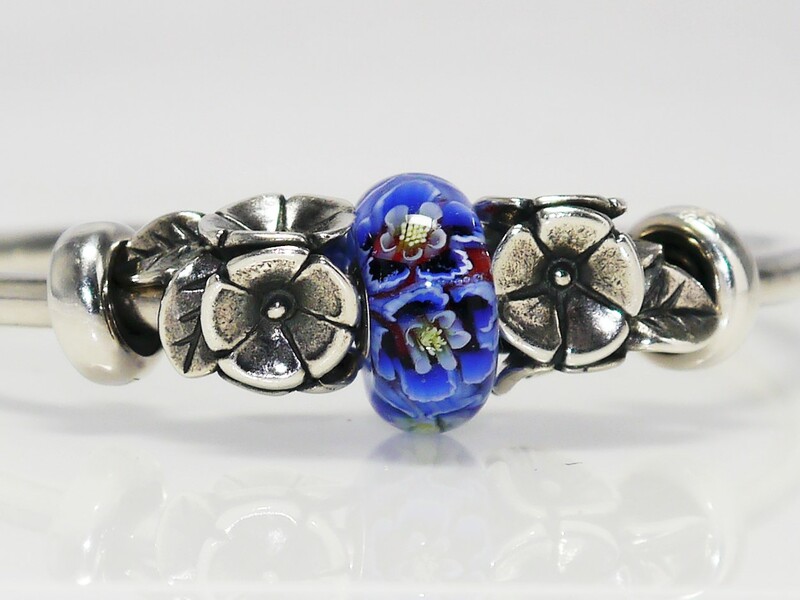 Then I plan to do an inspirational bracelet based on this beautiful bead, along with a Fantasy Necklace combination – it certainly deserves more than one blog post to be dedicated to it to showcase its full beauty. 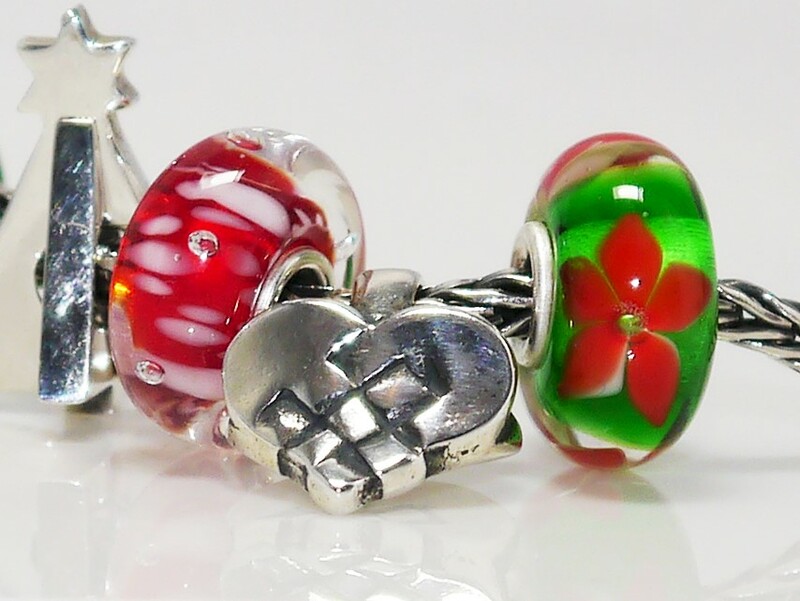 This blog post brings a review of the second glass kit from Trollbeads Christmas 2014 ‘The Wishes Collection’ – the ‘Classic Christmas Kit’. This glass kit features a palette of festive reds and greens and incorporates Christmas themed designs including a christmas tree, holly and poinsettia. The vibrancy and festivity of this kit make it hard to resist! 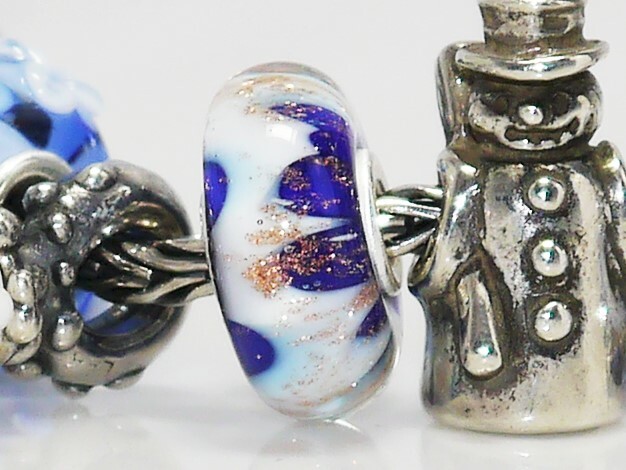 As with the Magic Winter kit, I have combined the beads with new and existing festive silvers. 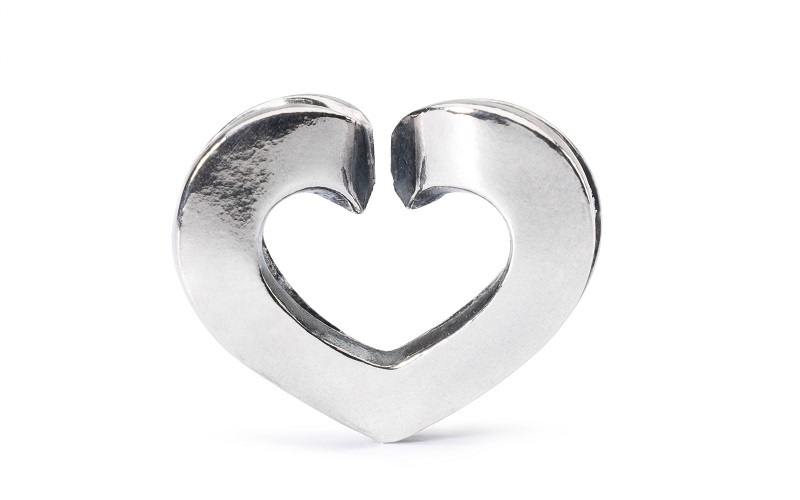 In the first two individual shots you can see two of the new silvers ‘Holly Bushes‘ and silver ‘Eternal Love‘. 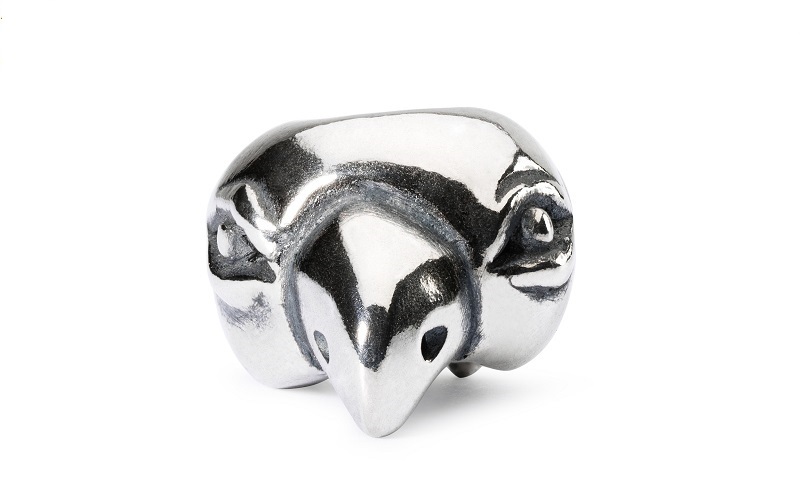 I have to admit that some of the other silvers from this release, such as mouse, cat and parrot faces, were not to my personal taste. 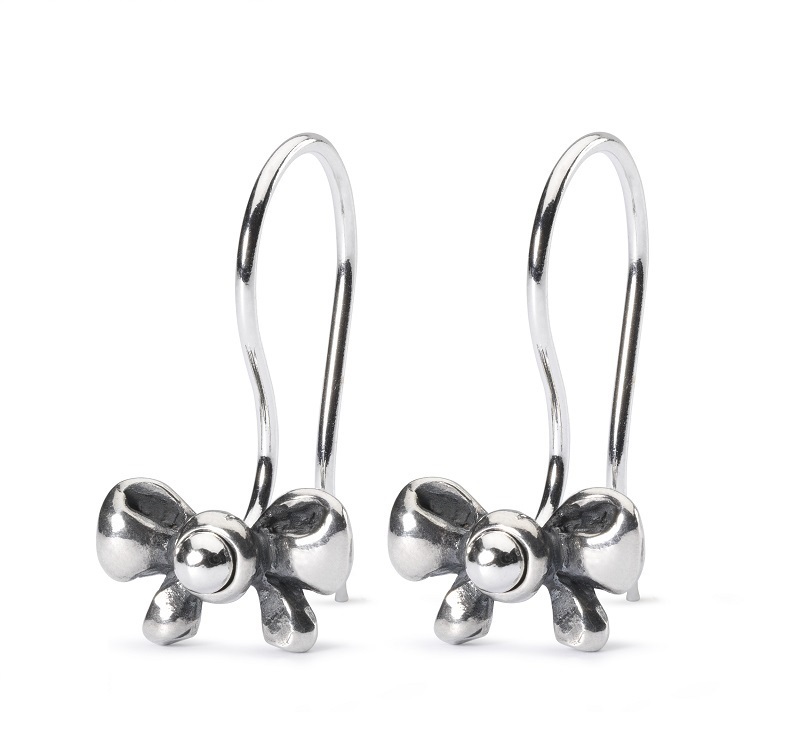 However, I can see that they have a certain whimsical feel to them that will appeal to others. 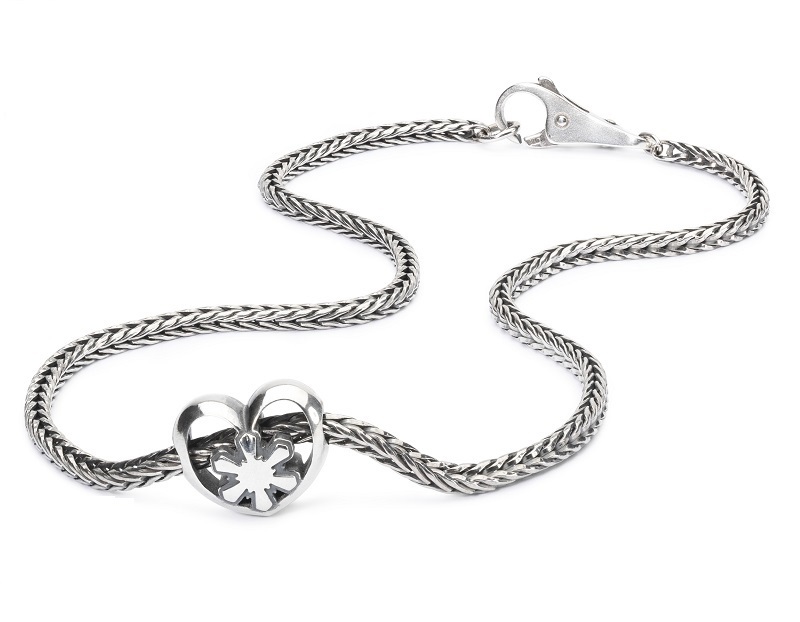 I was very tempted by the Bow Lock, but would have only really worn it with this bracelet so decided to leave it. 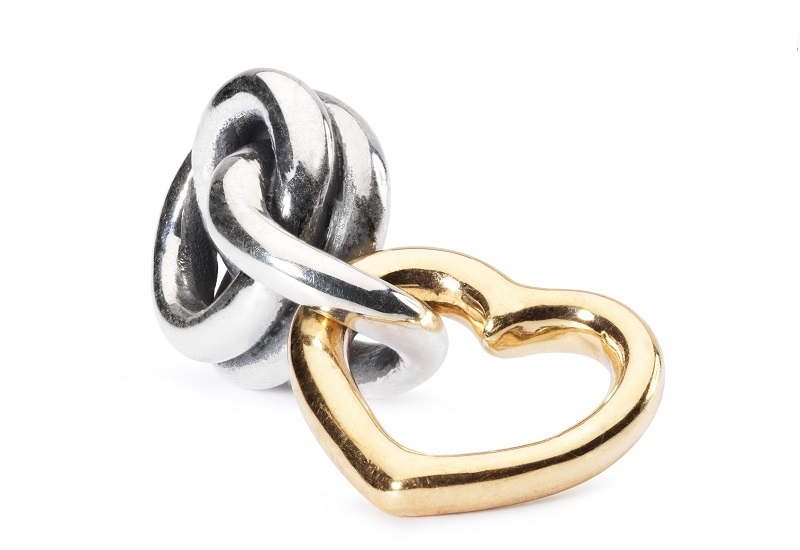 I also adore the Lucky Love gold and silver bead but the higher price tag due to the gold was a stumbler at this time of year. 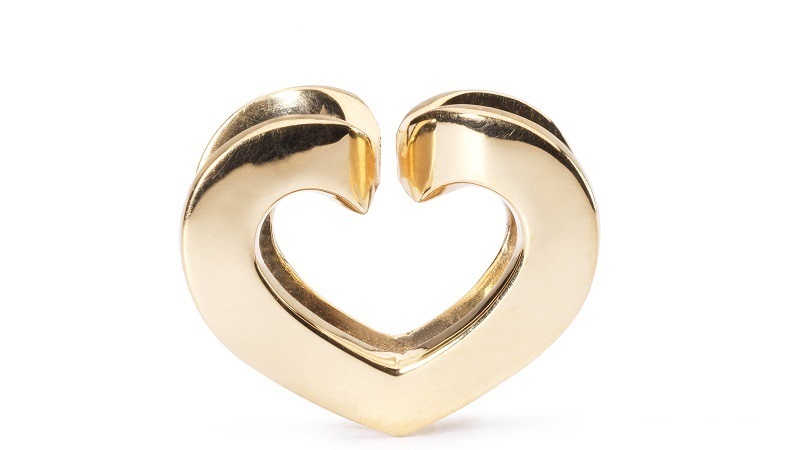 ‘Live, Love & Forgive’ and ‘Wishing Star’ from the recent ‘Gold – Love Art’ release are still high up on my wish list but I never seem to get round to getting the gold due to all the other beautiful releases that keep coming throughout the year! 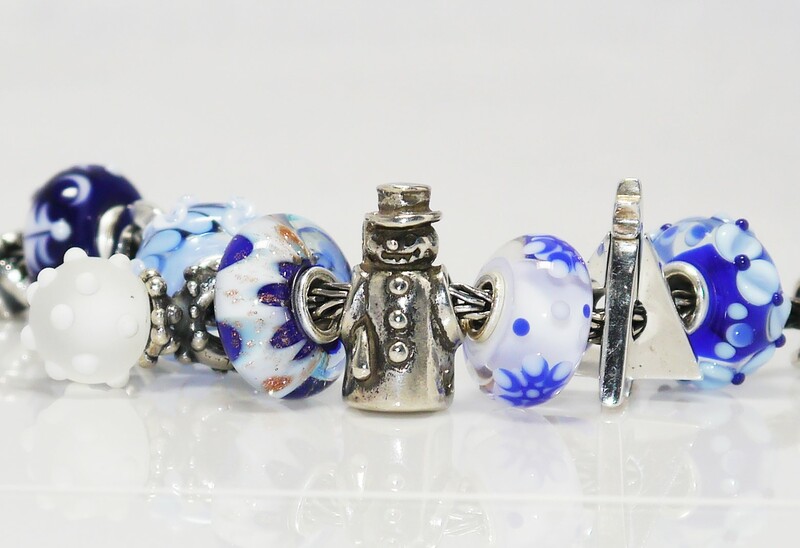 Today sees the release of Trollbeads Christmas 2014 collection, named ‘The Wishes Collection’. 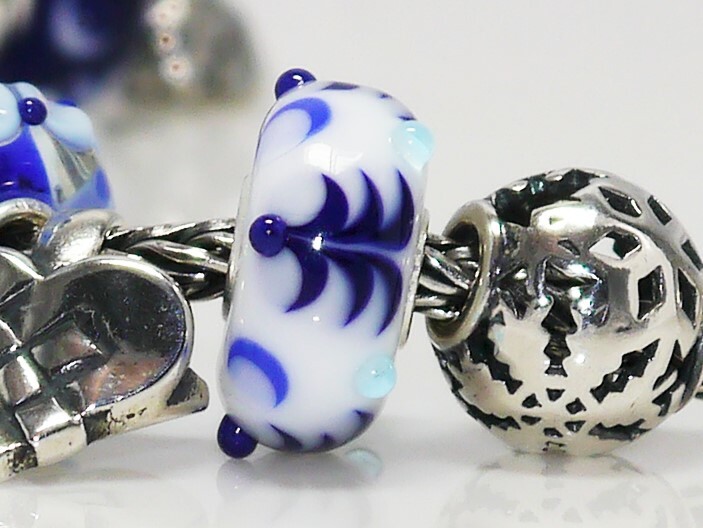 This Trollbeads blog post brings a review and live photos of the ‘Magic Winter Kit‘. This kit features a palette of crispy, icy and midnight blues and snowy whites. 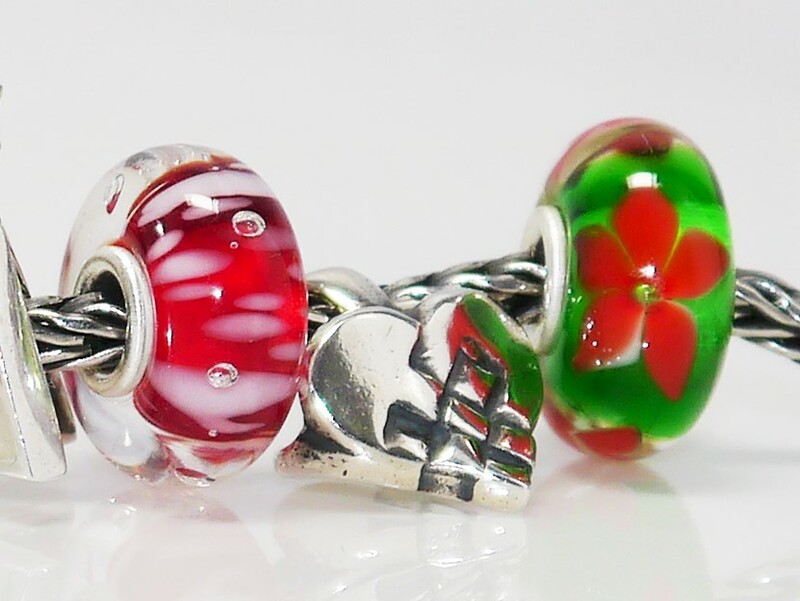 It also features two of the very popular Christmas Tree glass beads. This has to be my favourite of the two kits, as I just love the colours. 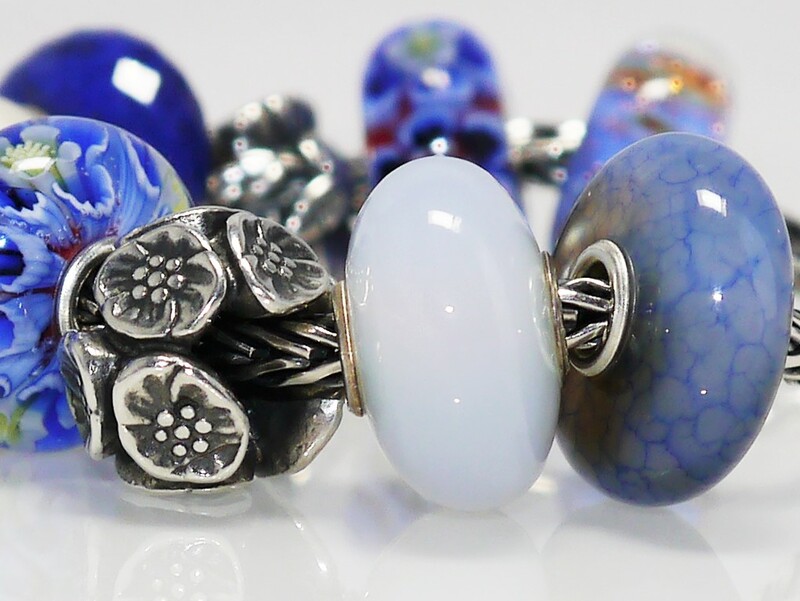 My favourite two beads are those with the pale blue raised flowers and the copper inclusions. 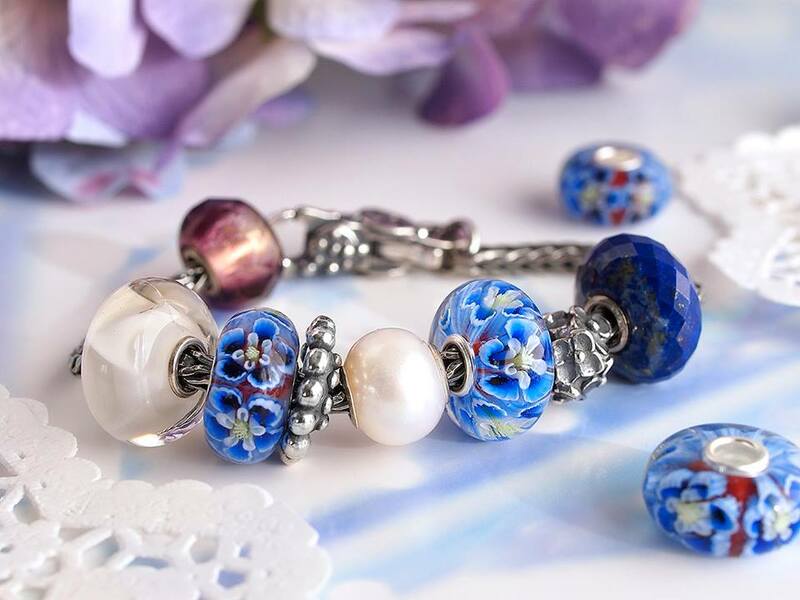 Both look equally as stunning on he Fanatasy Necklace with Pearl, and I can see me wearing the pale blue raised flowers within spring and summer themed bracelets too. 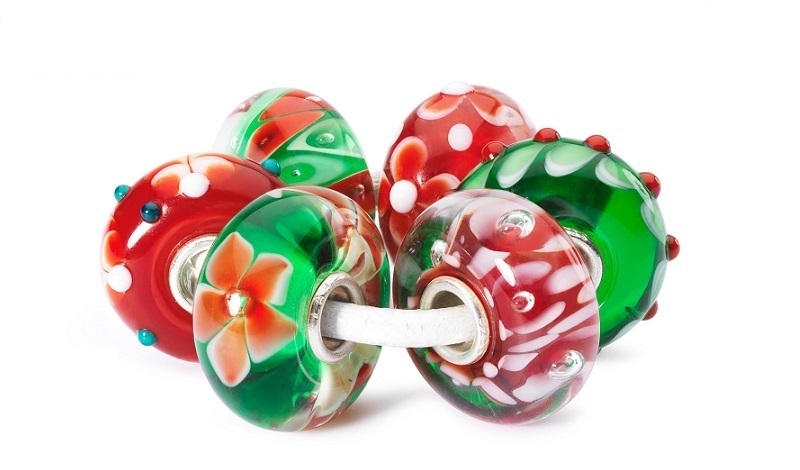 The quality of the Christmas glass this year is exceptional and the the designs within this kit are exquisite. As you can probably tell, I am totally in love with this kit! 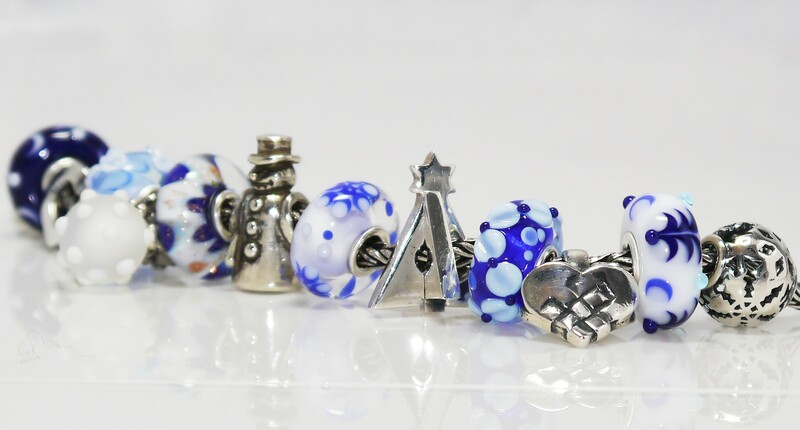 This Trollbeads blog post brings a review and live photos of the country specific bead for the US. 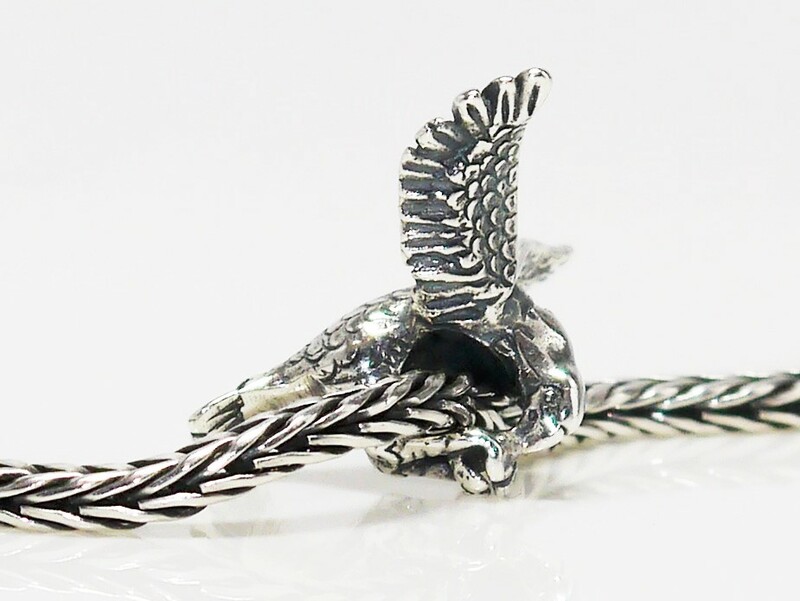 ‘Wings of Freedom’ (US11505) designed by Soren Nielsen … The majestic eagle has been depicted as a symbol of strength, courage and freedom since the beginning of time. 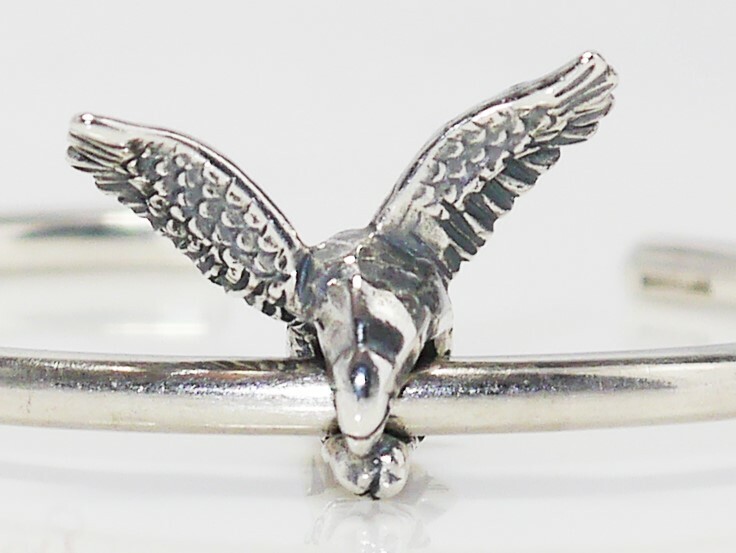 This bead is simply stunning in terms of detailing, and is a significantly large silver bead, particularly in comparison to the ‘Falcon’ from the Spring 2014 release. Whilst I have primarily taken photos of the bead on a bangle for ease of showing all angles, this bead sits much better on a chain. 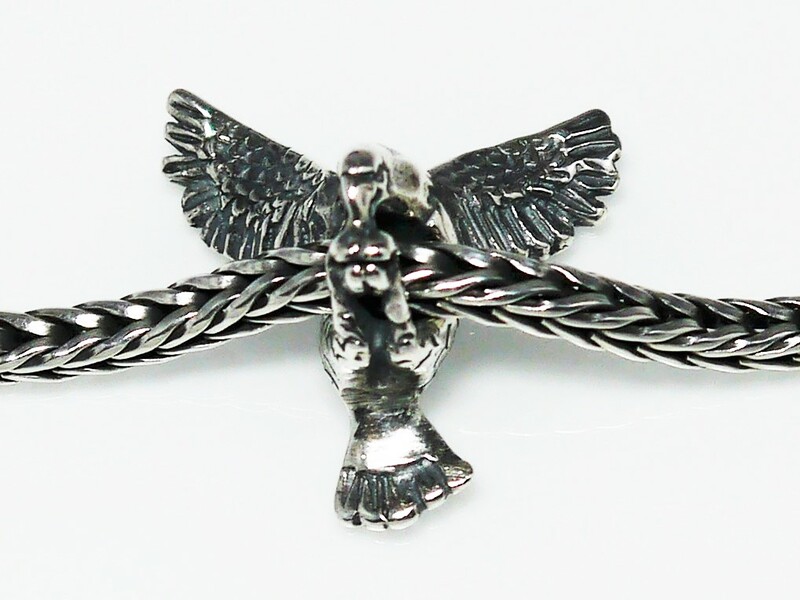 The bead is not symmetrical, therefore it does not easily sit between beads or stoppers, however on a chain its back and wings rest again your skin (as in the last photo above). 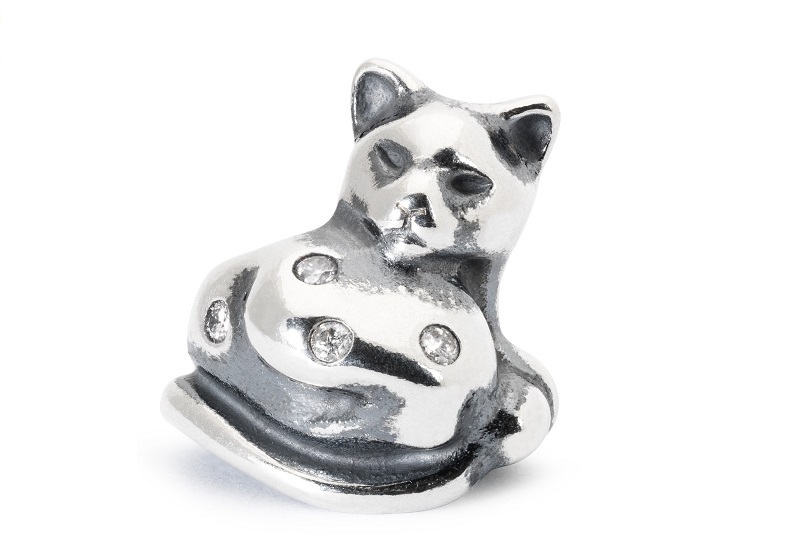 I think this bead will primarily be worn by myself as a focal bead on a necklace. 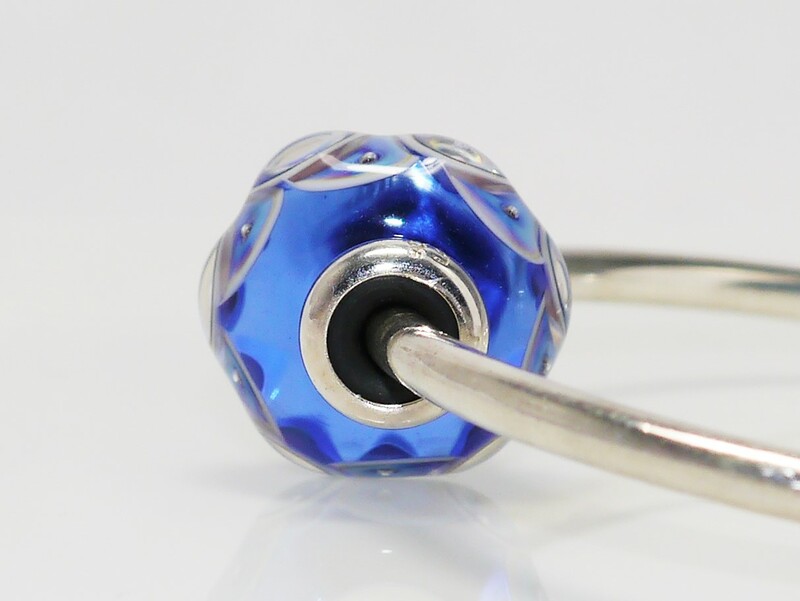 For any Trollbeads enthusiast, I would definitely recommend this bead as a must-have, even if purely for the craftsmanship of this bead. 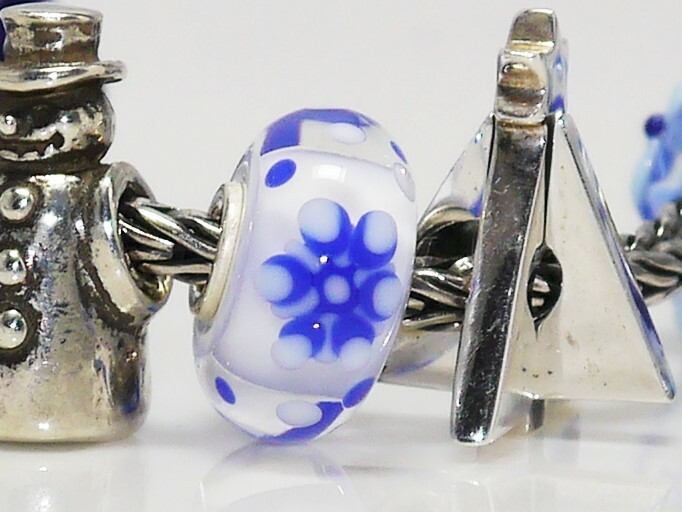 This Trollbeads blog post brings a review of the ‘Missing Bead’ from Trollbeads Peoples Bead contest 2014. The winner was ‘Perfect Balance‘, designed by Mirjam Seling. 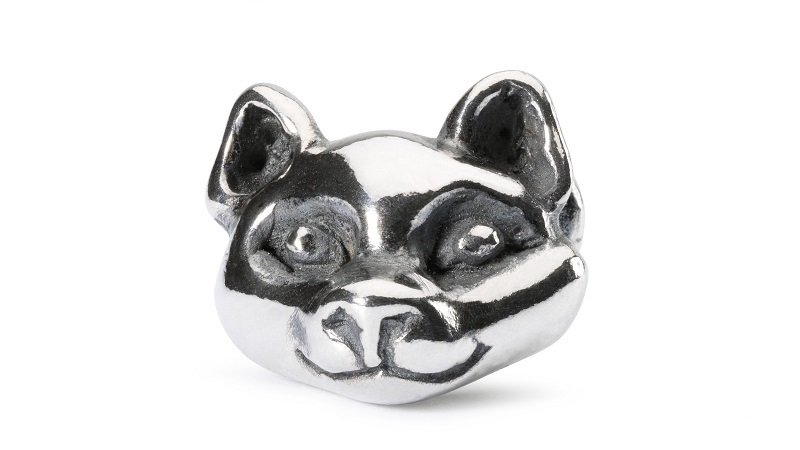 Below are some live pictures of the bead …. 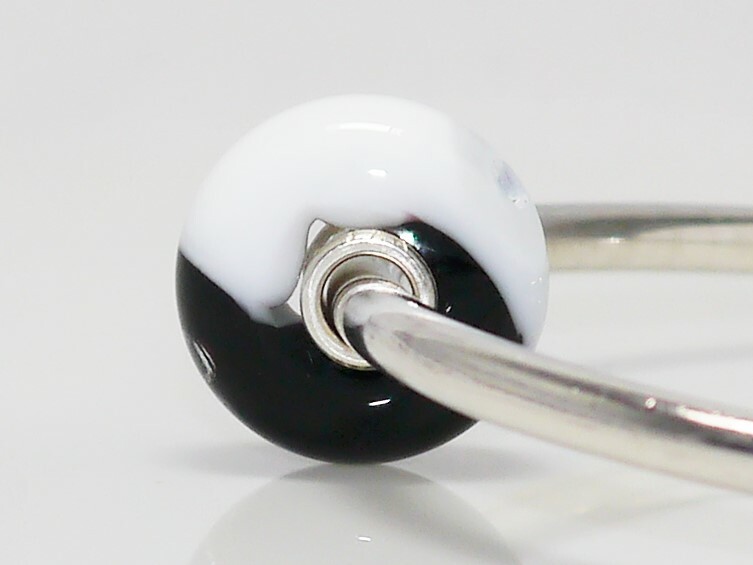 I tried to put this bead with other black and white beads, however I think this detracts from the beauty and simplicity of the bead. 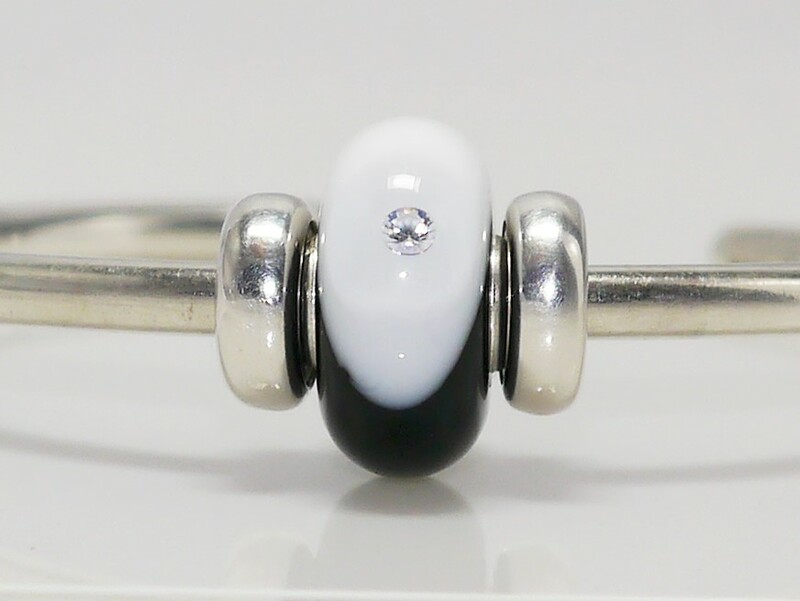 In my opinion this bead looks at its best on its own on a bangle. There was some concern initially on how neat the lines would be between black and white. 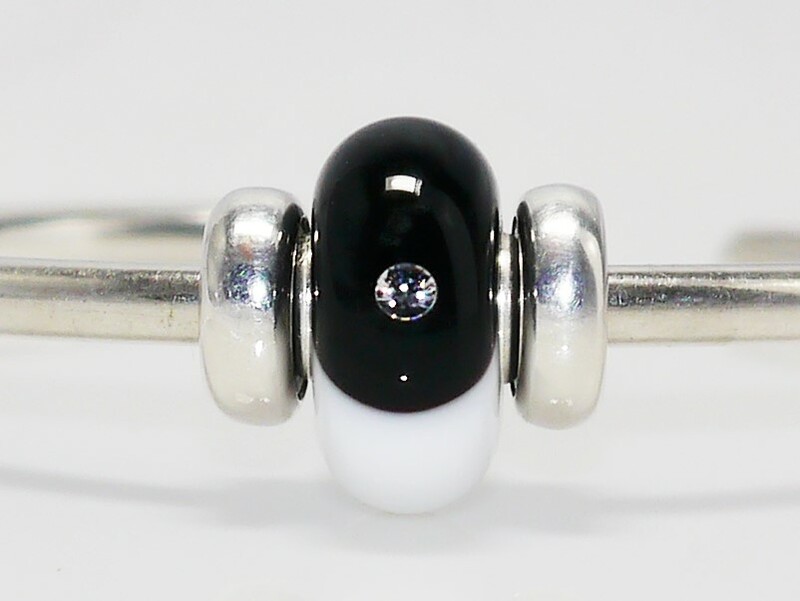 The black side of my bead is perfect, and the white side has just one slight area of imperfection, though this is not really noticeable when wearing it. 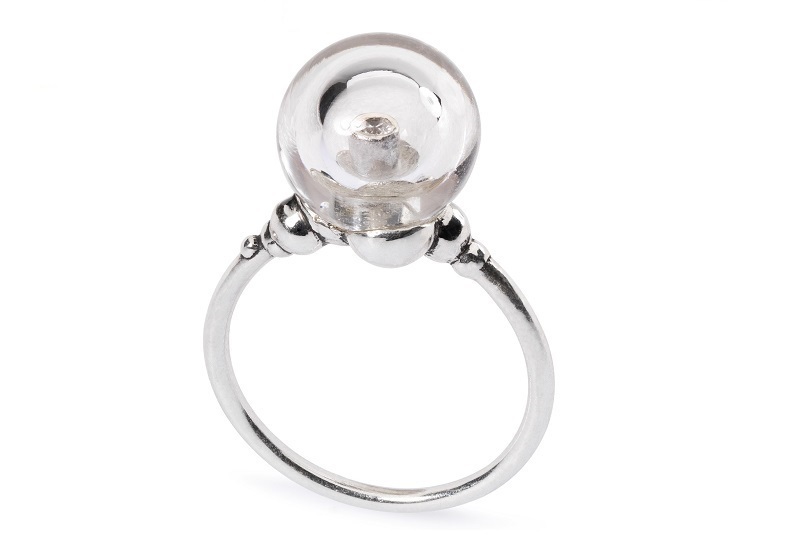 The cubic zirconias are set in what I can only describe as a bubble within the glass. This is not really noticeable at all on the black side, but you can see it slightly on the white side, as in the photos above. 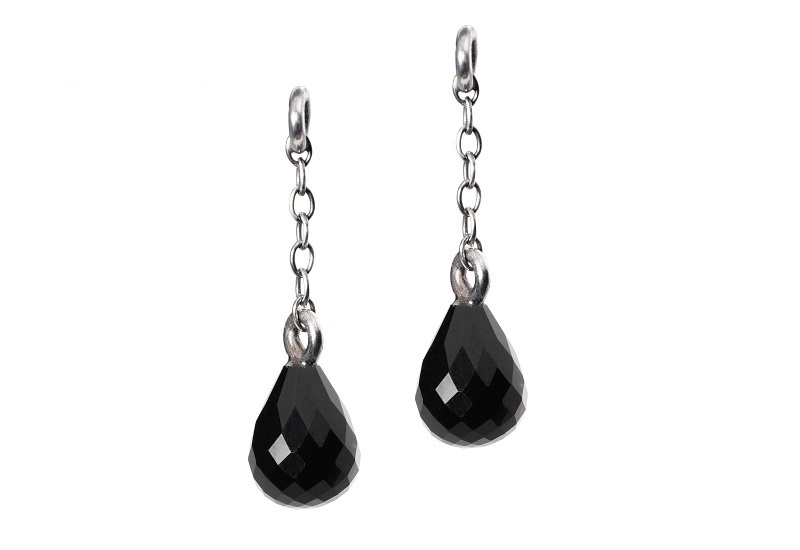 The only criticism I have of the bead that I have received is that the cubic zirconia in the white half is set slightly higher than the cubic zirconia in the black half. Being a perfectionist I think this is something that may bug me over time. 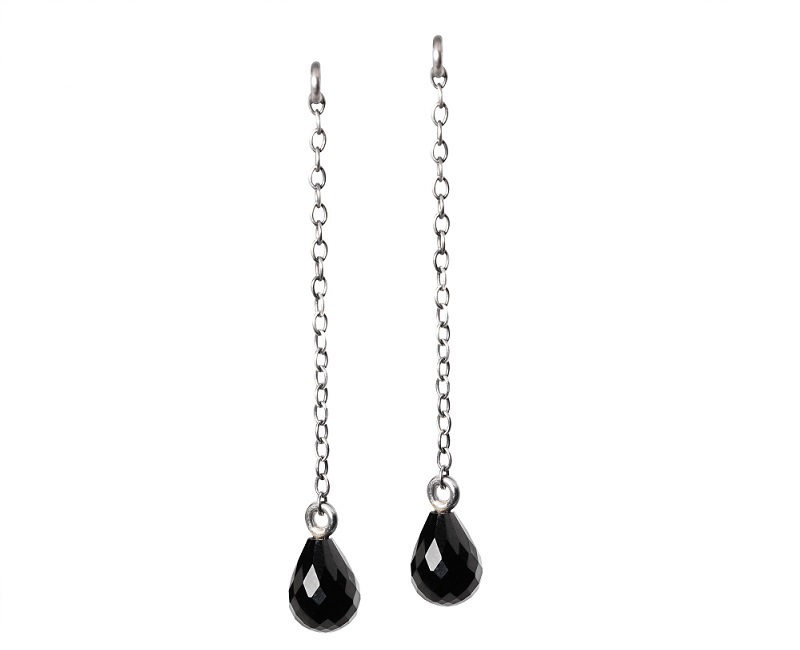 Having said that though, it is a lovely bead that would finish off any black or white outfit, and is ideal for the upcoming party season! 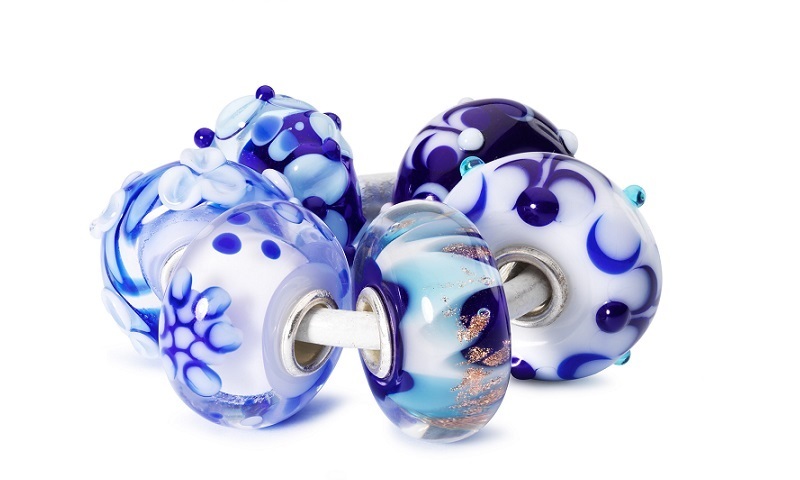 Following pre-order images appearing publicly on UK retail websites and elsewhere on the web, here is an early look at the much anticipated ‘Ageless Beauty‘ glass bead (JP62301). 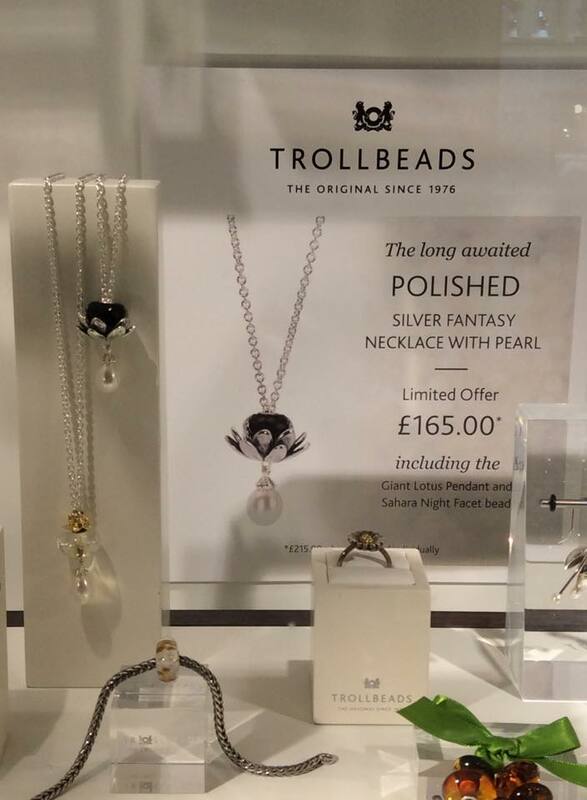 Image rights to Trollbeads – Please do not reproduce without crediting. 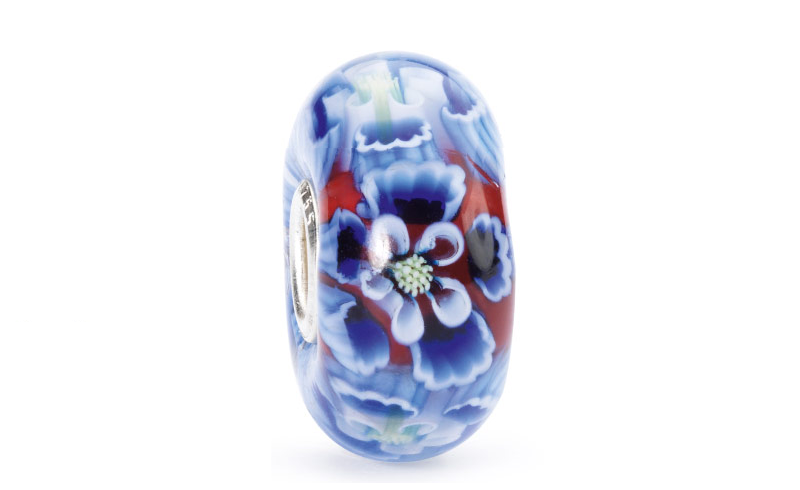 This beautiful and intricate Limited Edition bead is designed by Nozomi Kaji, who previously designed the Limited Edition ‘Kimono Kit‘ and ‘Blooming Sakura‘ from the World Tour Japan collection. 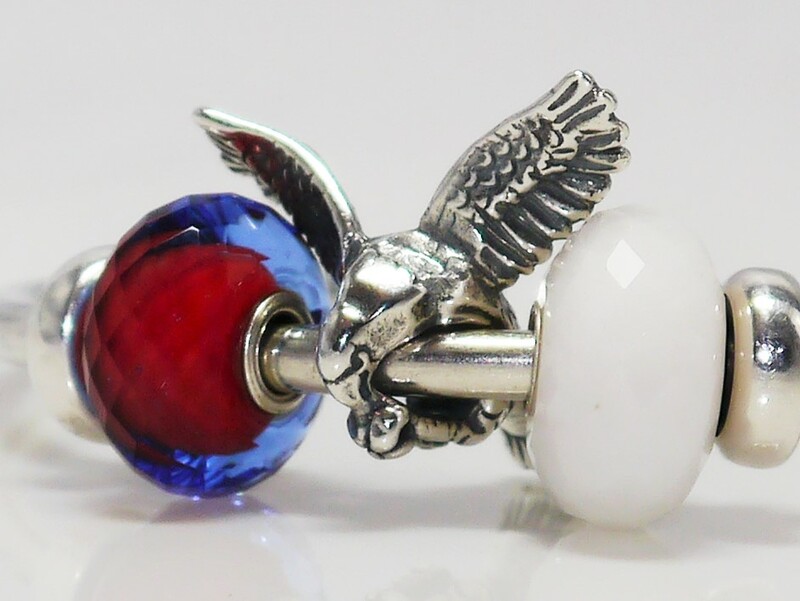 This bead is the second bead to follow in a recent ‘country specific’ theme (the other being ‘Wings of Freedom‘ for the US) and represents Japan. 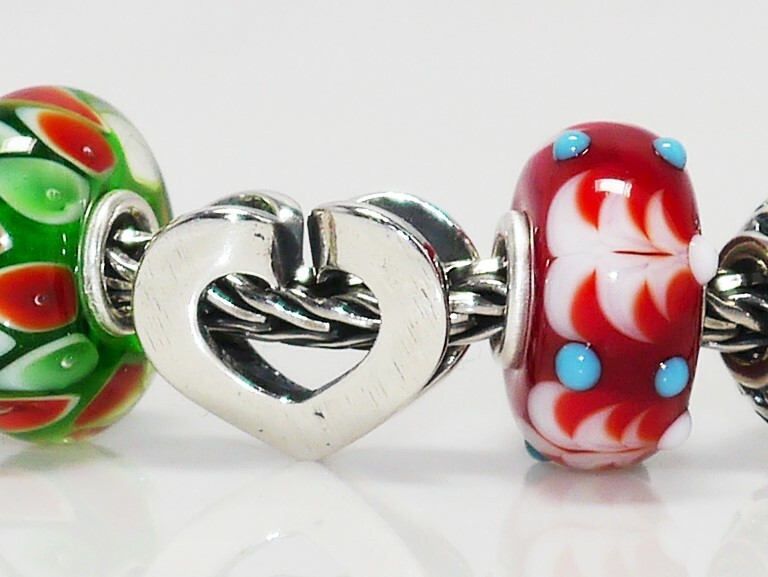 We have seen a similar theme before back in 2012 when Trollbeads released the Bavaria bead to celebrate the German tradition of Oktoberfest followed by Asian Hearts which represented Asian culture. 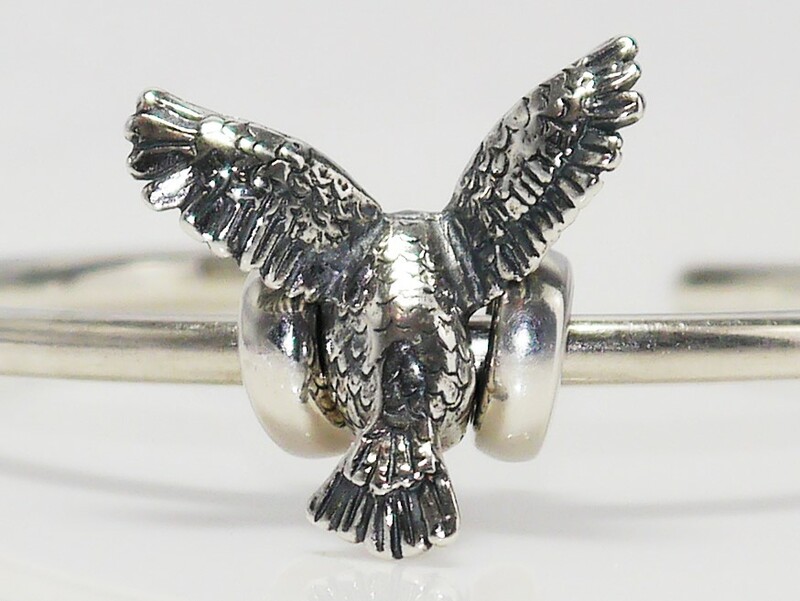 From what I understand, this bead will be available globally, however the release date may vary between regions in the same way that Wings of Freedom has seen a US debut before being available in Europe. October 18th is rumored as its first appearance, though I have no further details as to which region this will be in at this time. 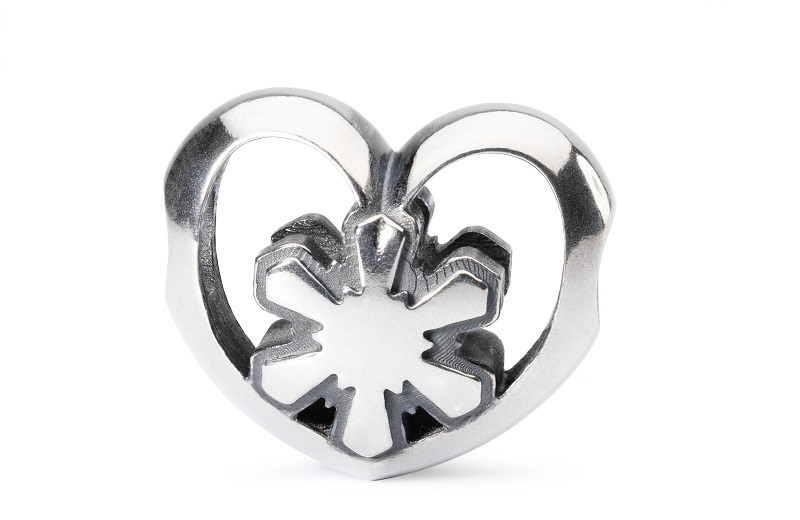 The price of the bead is suggested as £45 / €51 / $56. 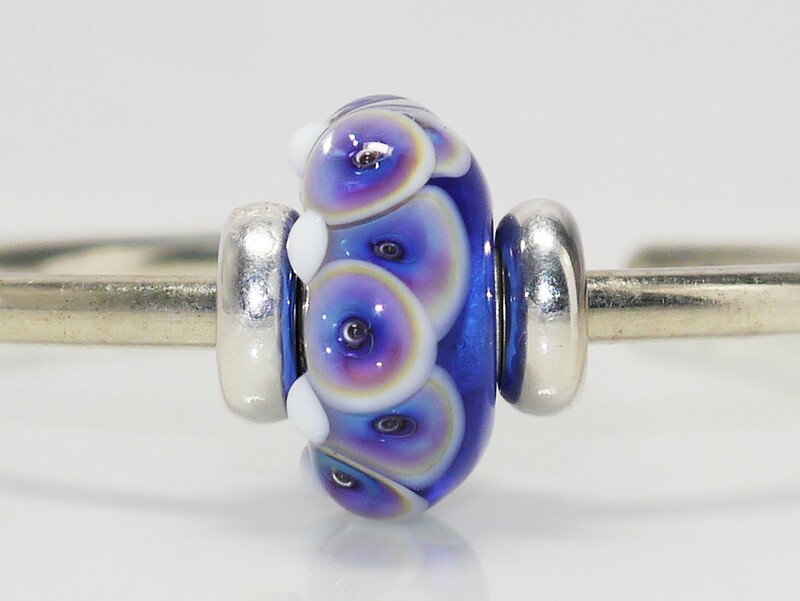 Looking at the image, I can picture this bead looking stunning in combination with silvers and the retired Trollbeads Goldstone and Blue Goldstone, as they would not detract from the intricate detailing of this bead. 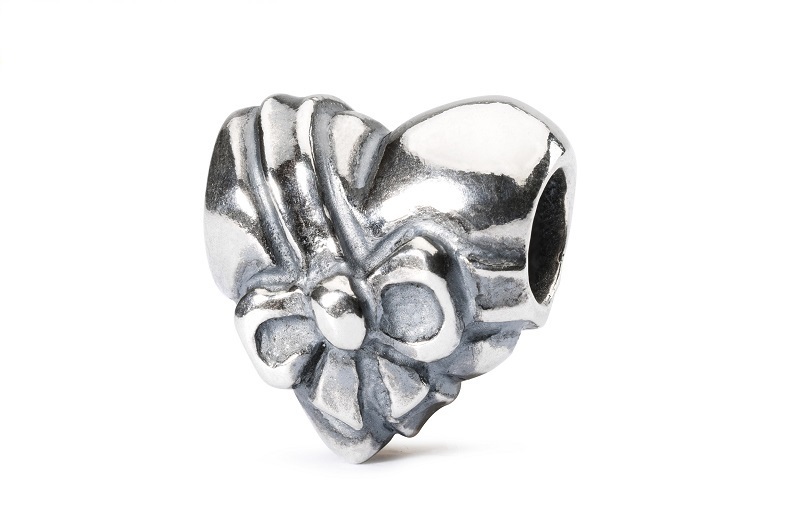 It would work well as a single focal bead either on a bangle or a bracelet of silvers. 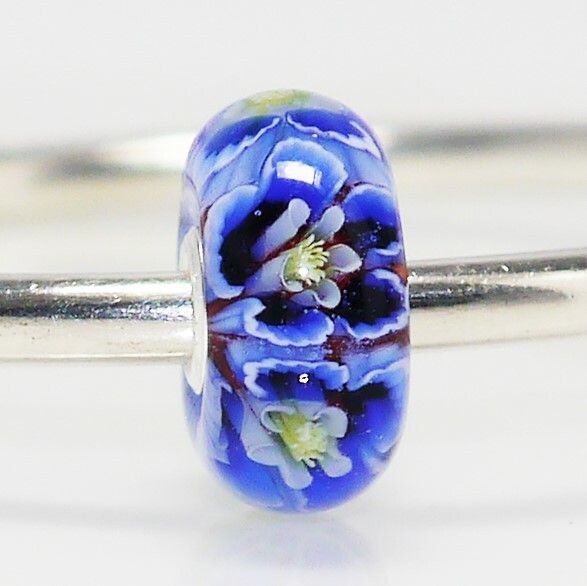 Multiples of this bead would be lovely, but with the recent Fall release and upcoming Christmas release, the price of this bead may be a point of contention for some, especially as traditionally Limited Edition beads have been marketed at the £32, the same price point as Uniques. 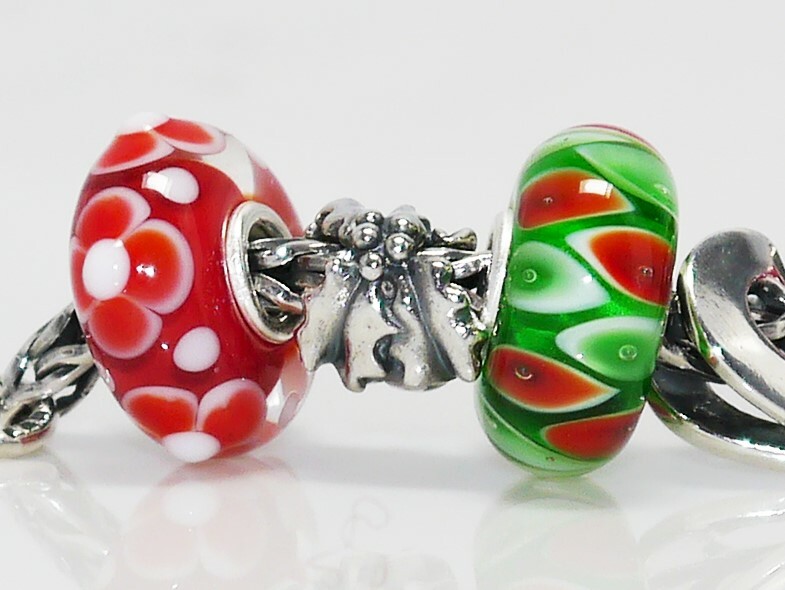 Today saw the unveiling of the first preview images of Trollbeads Christmas 2014 collection. 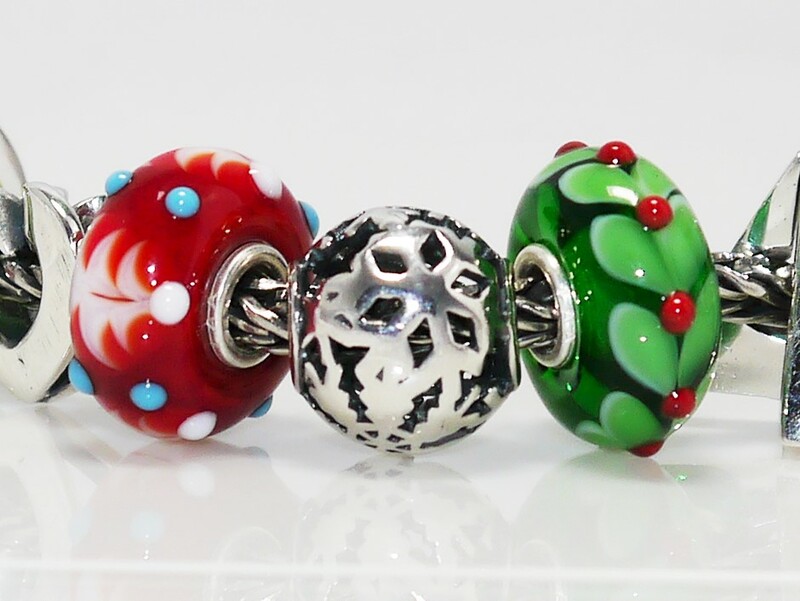 I never know whether to call these releases ‘Winter’ or ‘Christmas’ collections, but with all the festive themed beads within this release, I have opted for Christmas! 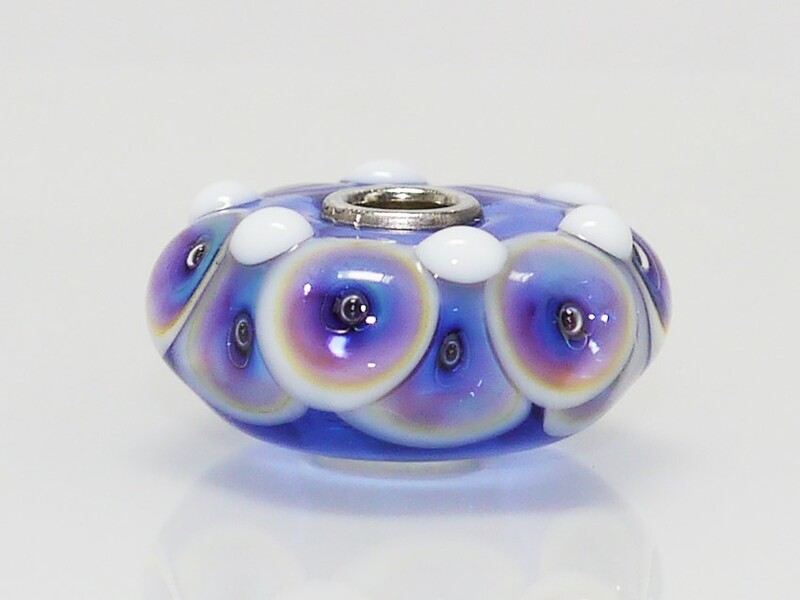 This release will debut on 17th October 2014, but what follows is a full preview (except for individual glass bead names and photos – I will update with these as soon as they become available). Firstly, the two glass kits, which for me are always the highlight of this seasonal collection. 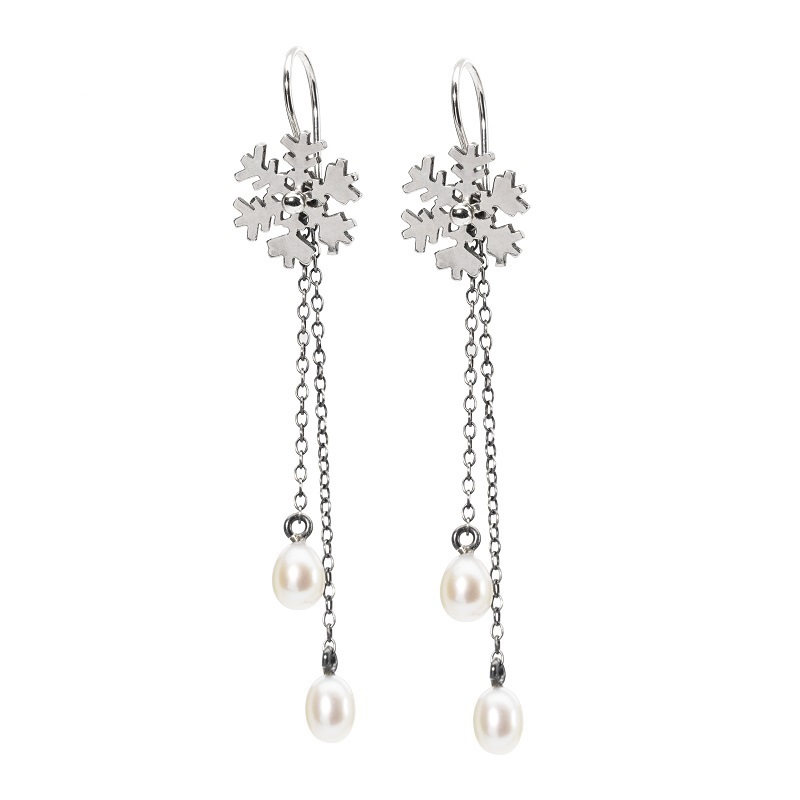 And even some diamonds …. 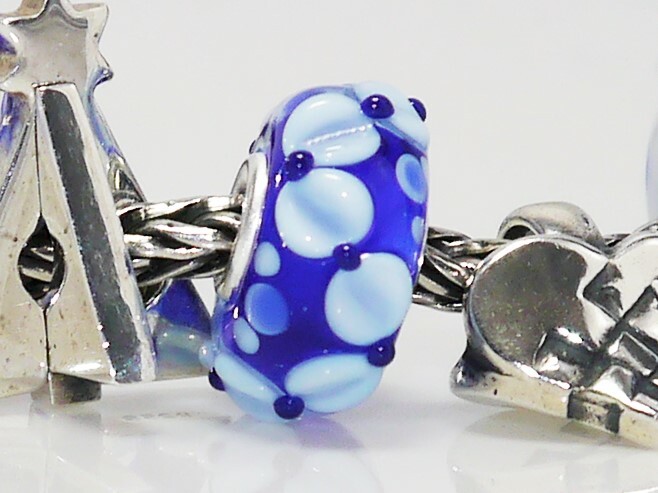 A beautiful new lock which compliments the other beads in the release perfectly…..
And finally, some more earrings ….. The highlights for me are definitely the Magic Winter Kit, and I also like Holly Bushes and Eternal Love. 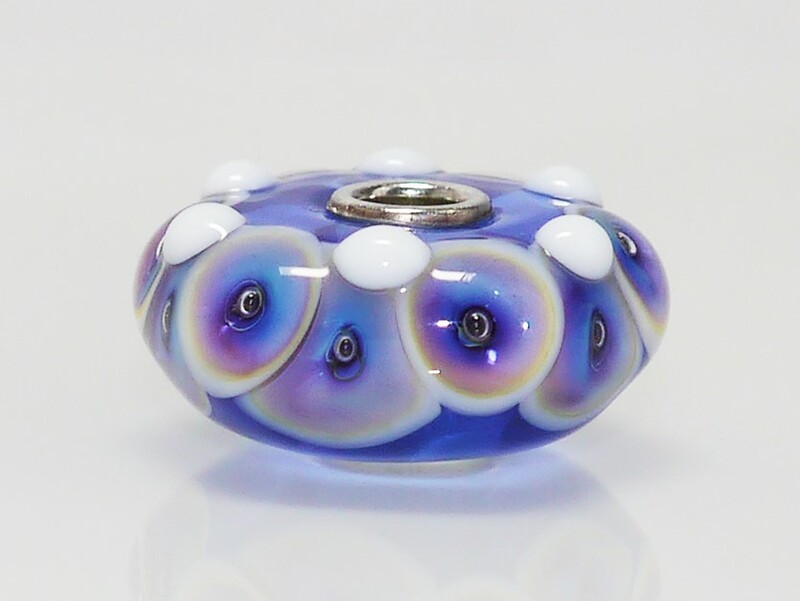 The Magic Winter bead with the copper-gold inclusions appears to be one which will show quite a degree of variation in the shades of blue … if this is the case then it will be one that I will certainly try to acquire multiples of. 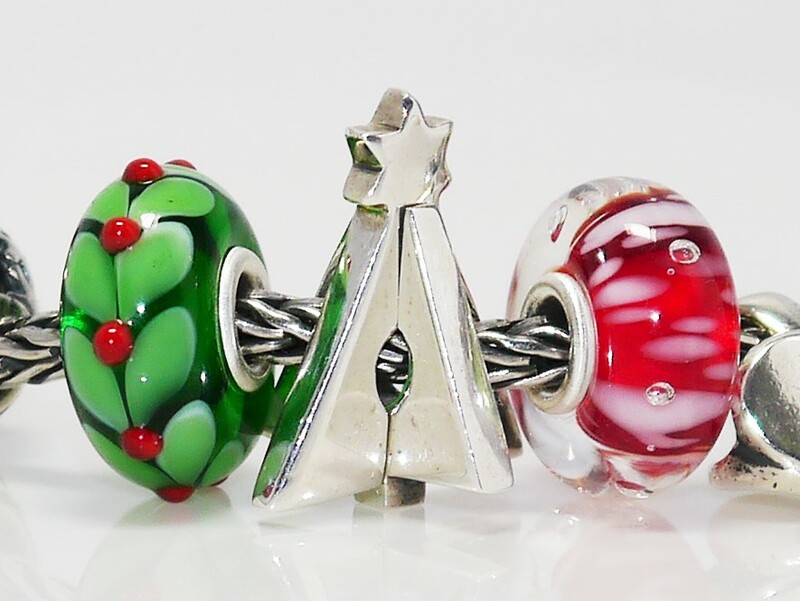 For many, the Christmas Tree glass beads will undoubtedly be must-haves, and are likely to be sought after to the same degree as Elegant Sparkle and Love Sparkle from the Christmas release last year. The glass kits in this release not only compliment last years Christmas release which included a red kit and a blue kit, but also the recent fall release which includes some stunning red, green and blue beads. 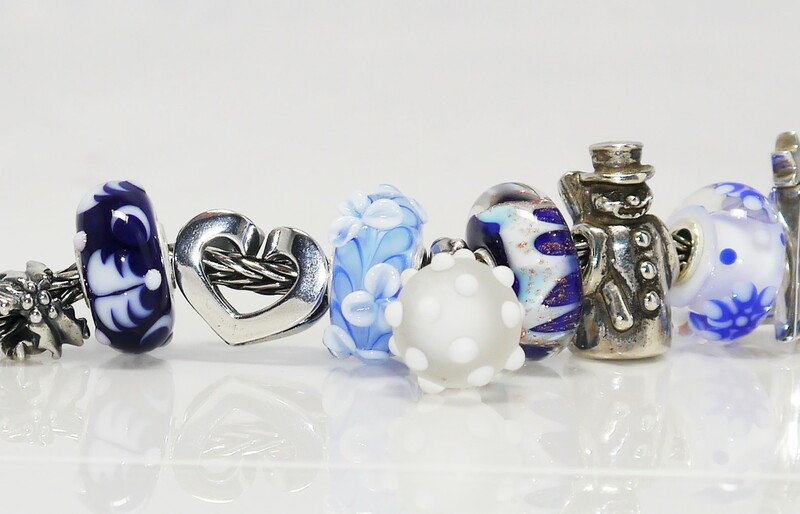 Plenty of opportunity to mix and match – after all, that is the beauty of Trollbeads!